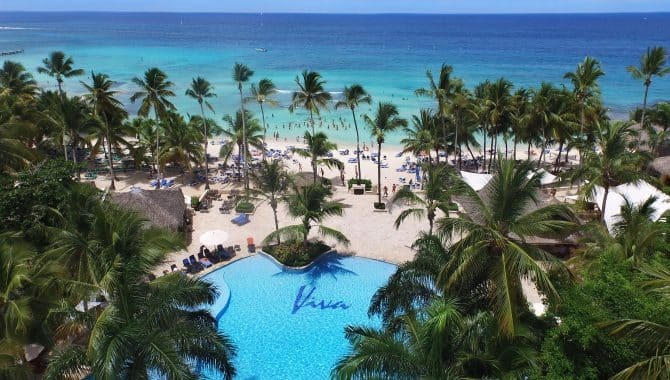 It can be the most exciting vacation in a lifetime, a special event that can be treasured forever: the family vacation. 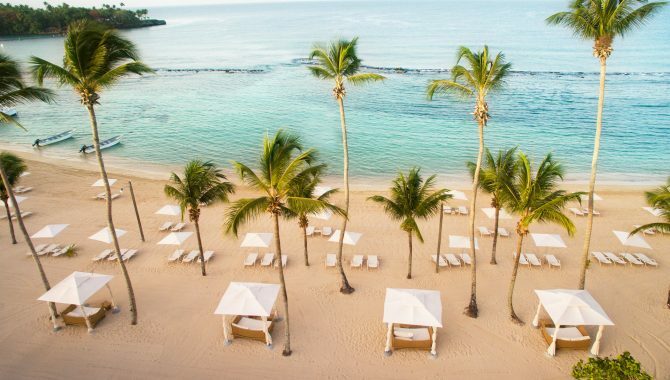 There’s no denying the positive impact a fun-filled beach getaway to the Dominican Republic can have on a family—and while traveling with kids can at first seem like a chore, these family-friendly resorts have the amenities and kid activities handled, so you can enjoy some adult time on the beach, while also soaking in quality family memories. 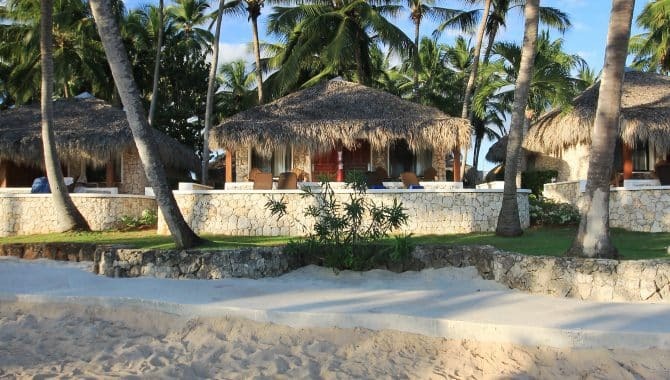 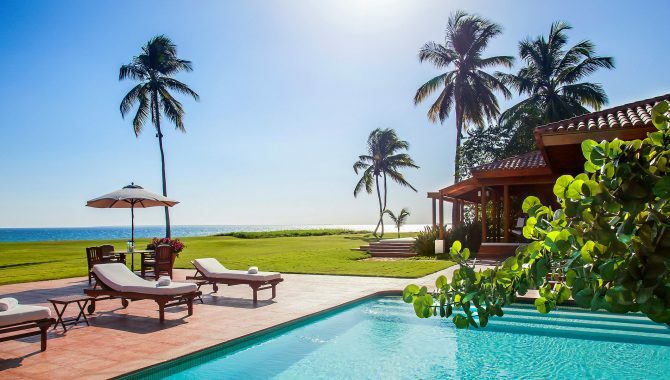 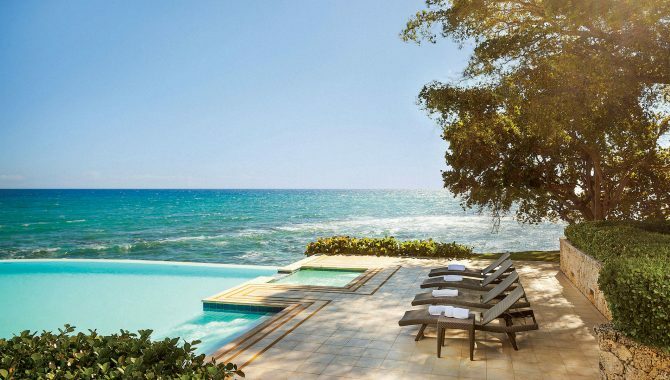 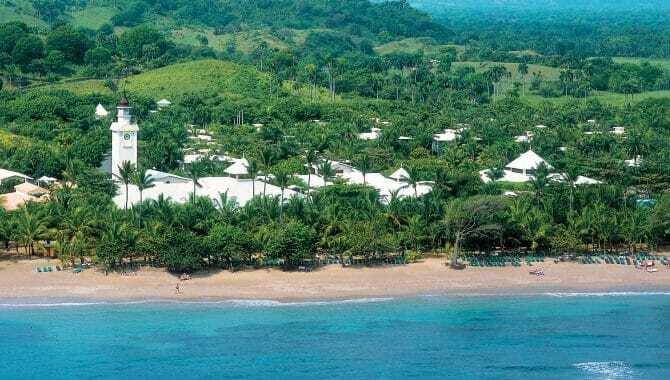 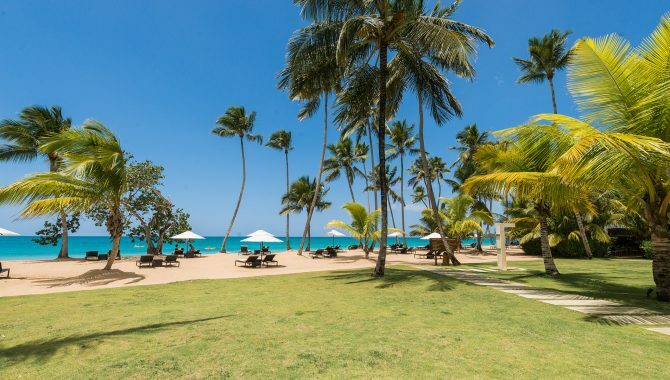 For anyone ready to make their family getaway dreams finally come true, the next resorts are ten of the best, most kid-friendly beach resorts to stay in the Dominican Republic. 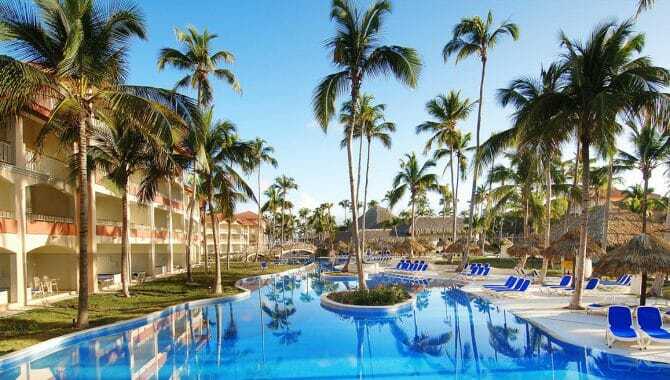 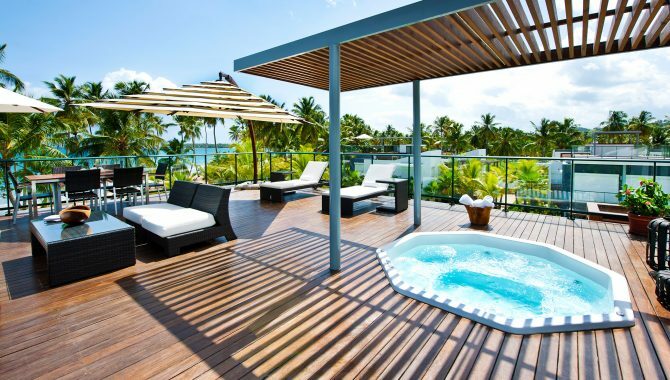 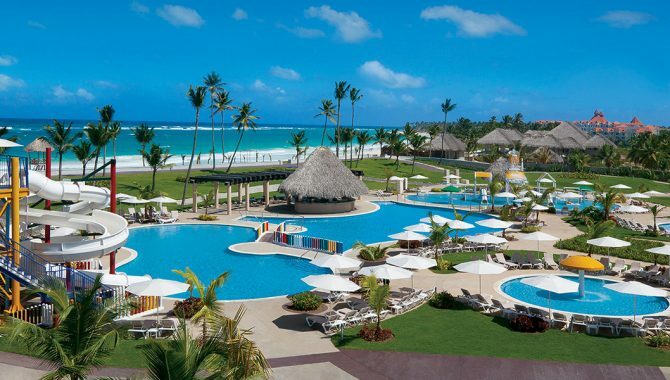 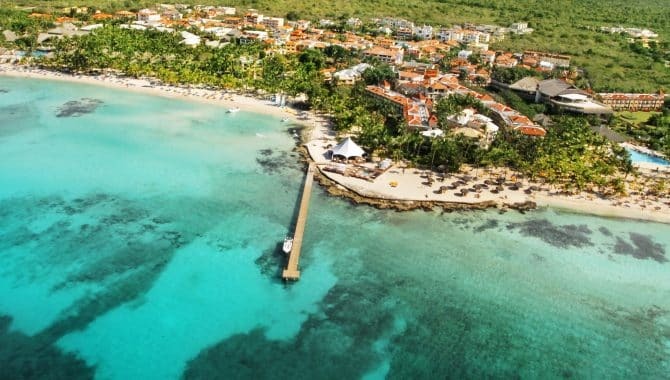 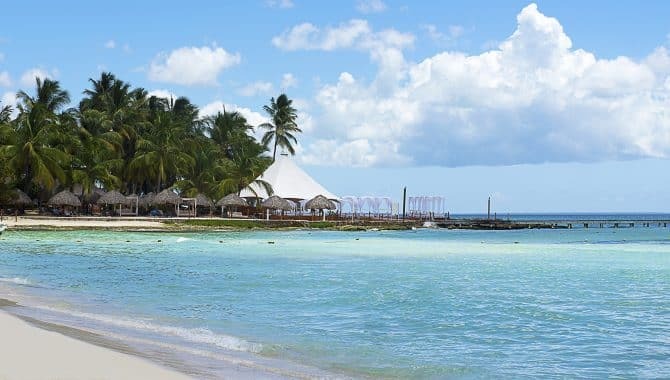 Possibilities are endless at this huge all-inclusive resort right on the beach in Punta Cana. 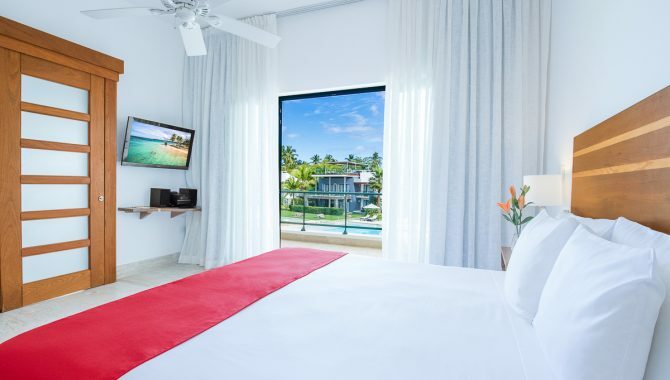 Live out your dreams of becoming a rock star at the Music Lab or reserve one of 20 Fender guitars for an in-room video lesson during your stay. 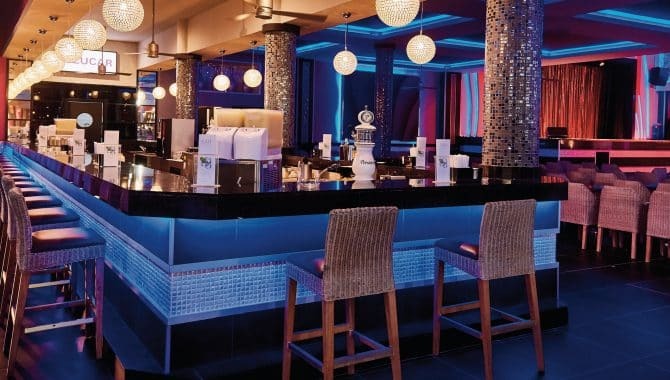 Expect the iconic decor and legendary rock-and-roll vibe of the Hard Rock brand in a tropical setting affixed with a full-scale casino, Jack Nicklaus-designed golf course, 13 stunning pools, a spa and nine tasty restaurants serving up cuisine from around the world. 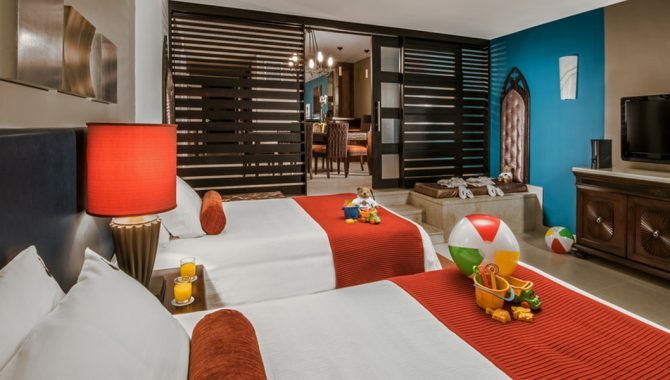 Perfect for families, the Hard Rock Roxity Kids Club is the ultimate hangout with themed days that run all the way to 10:45 pm. 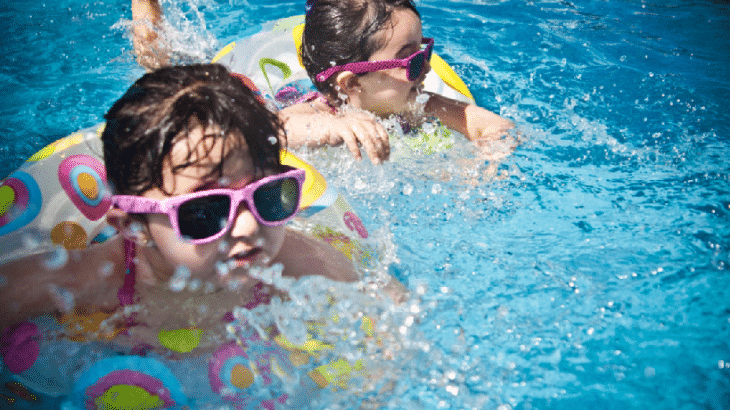 Kids love the mix of pool parties, talent shows and dance parties. 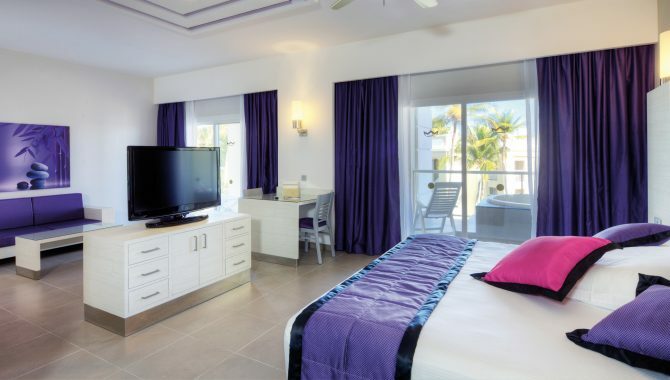 While you won’t be spending too much time in your room, the guest rooms and suites are equally as over the top. 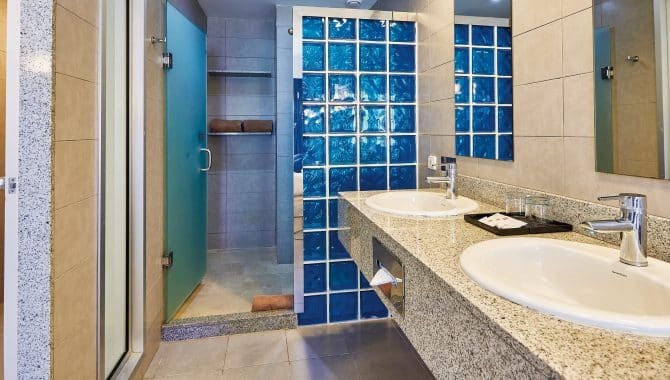 Soak in your double hydro spa tub before turning in after a fun-filled day of activities. 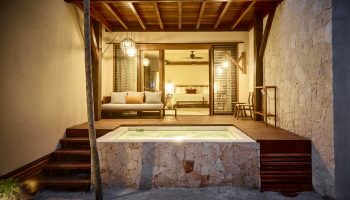 All accommodations come with a balcony, and for bigger groups, there are family-friendly options, including a three-bedroom suite. 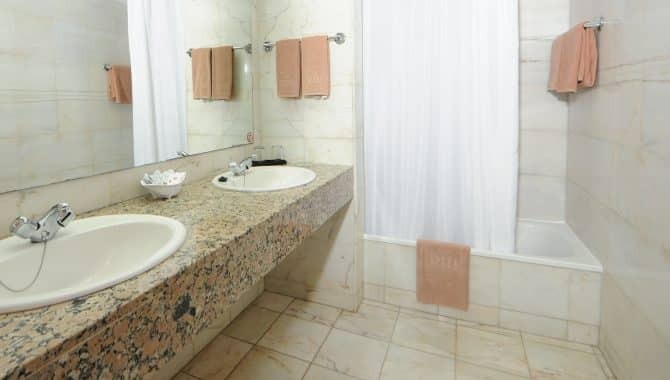 Did we mention that some suites even come with their own personal assistant? 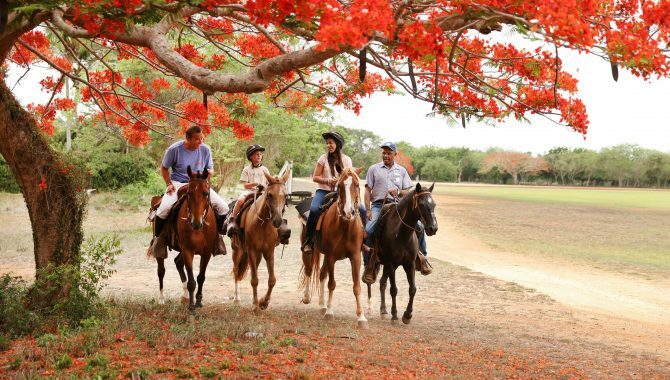 Talk about a work-life balance! 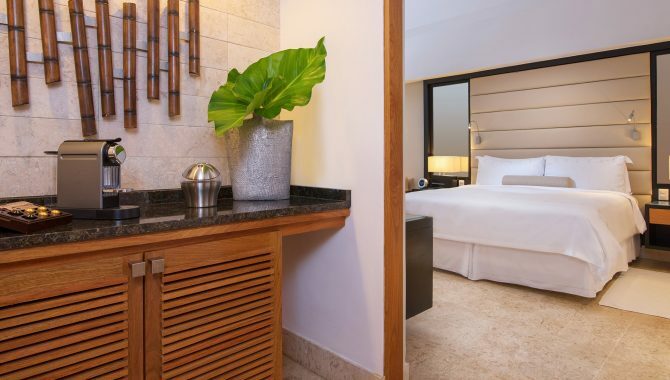 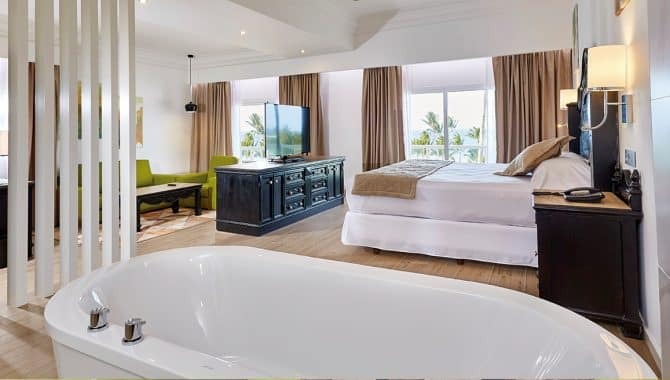 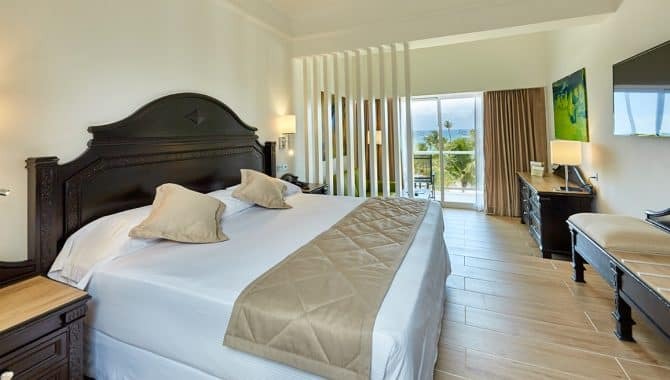 Settle in to one of the 258 rooms at Majestic Colonial Punta Cana for an all-inclusive experience that blends luxurious amenities with a jaw-dropping beach setting. 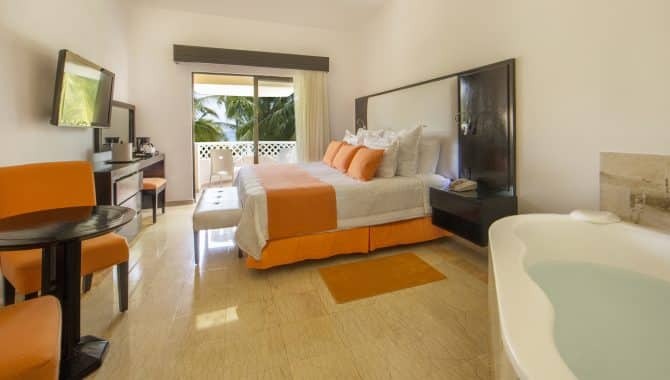 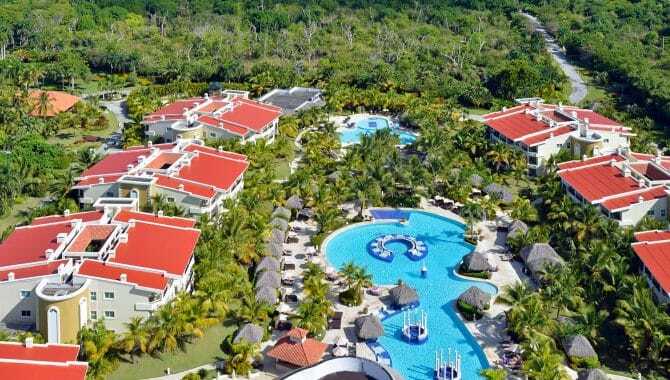 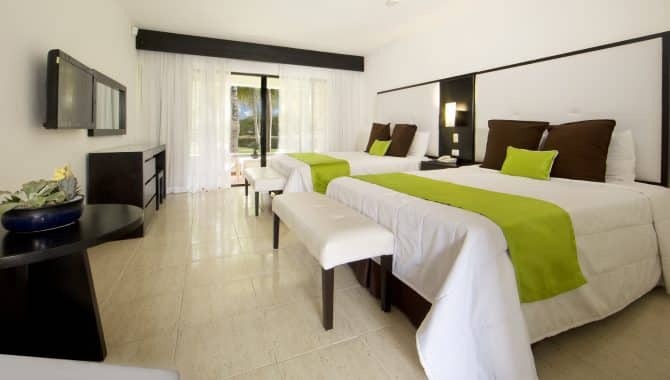 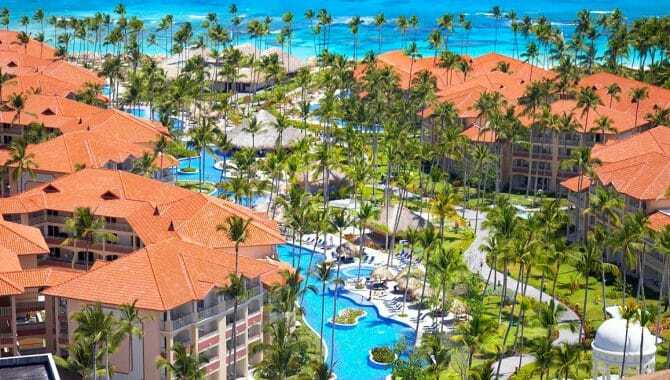 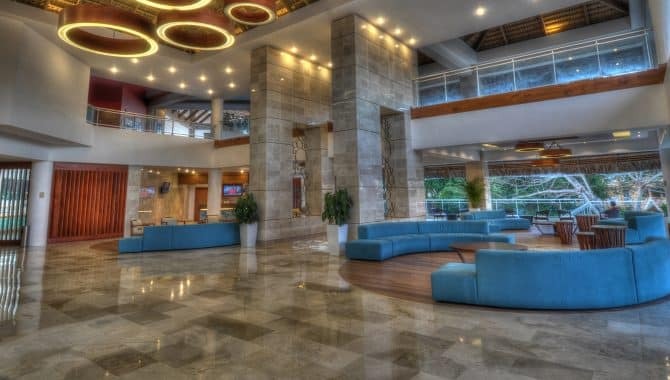 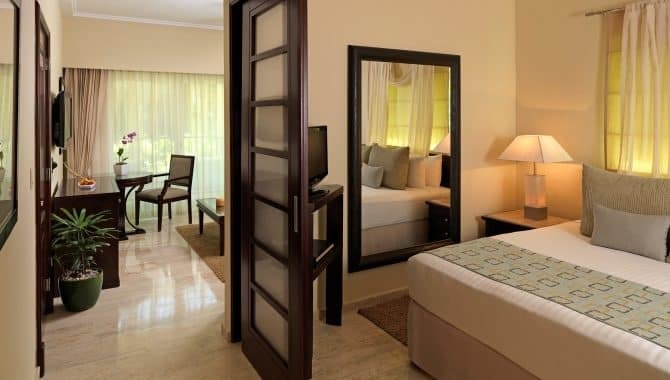 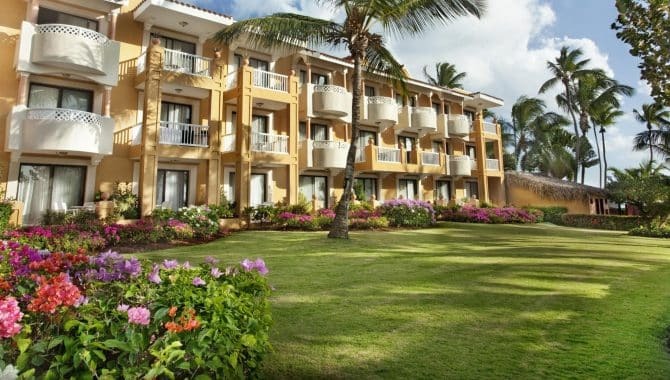 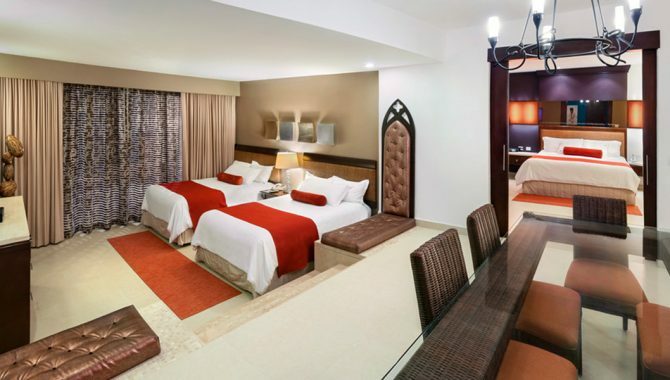 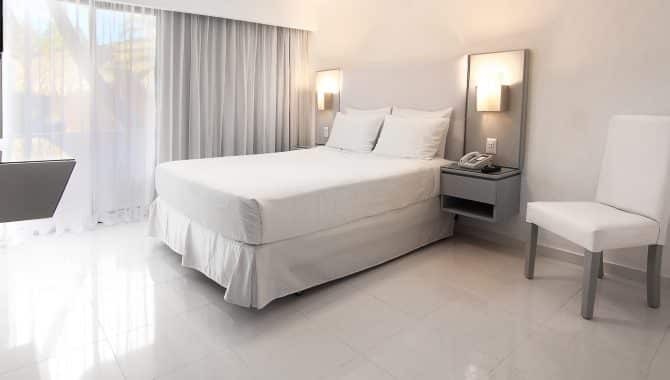 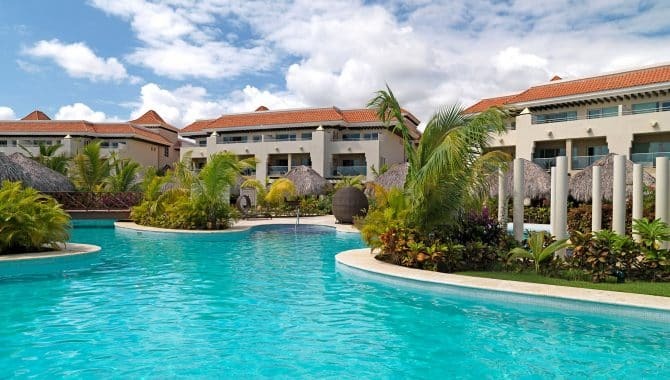 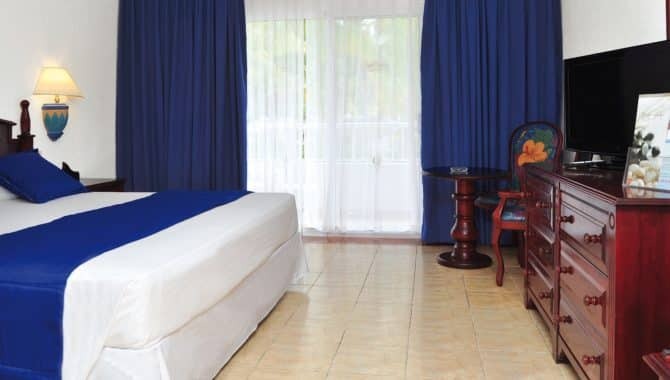 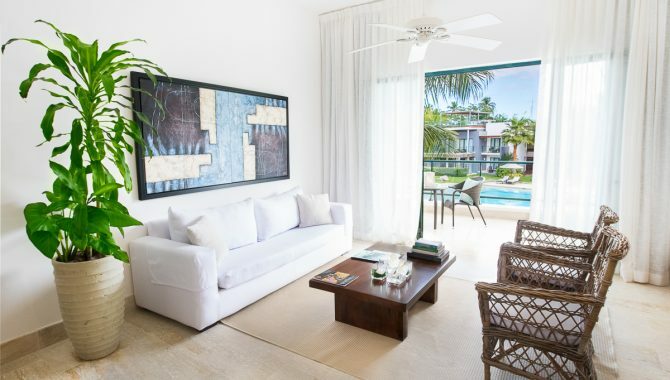 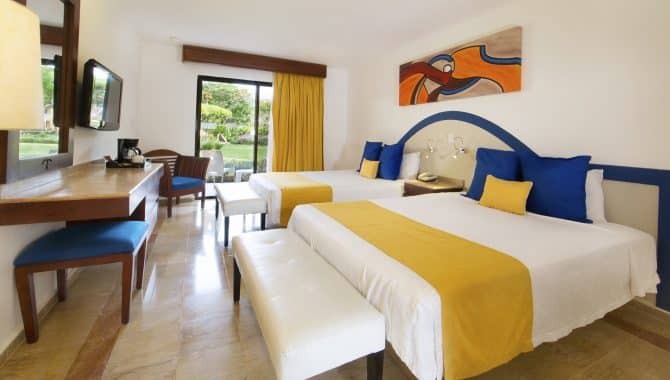 Specifically designed with couples, families and groups in mind, the five-star service at Majestic Colonial Punta Cana matches that of an upscale hotel, in a compound that serves up ample amenities and activities convenient to city attractions in Bavaro. 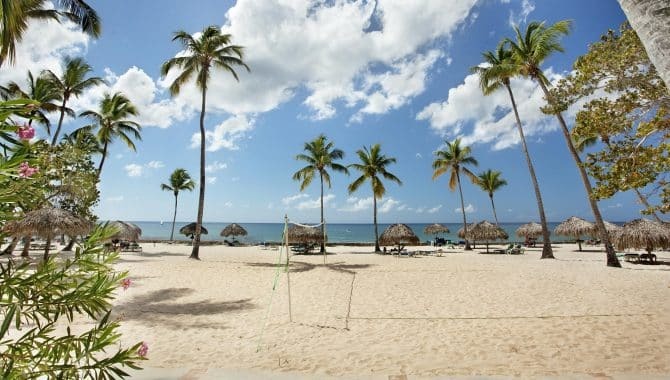 For fun-loving families, the beach is a a popular spot for water sports, with non-motorized equipment available at no extra charge. 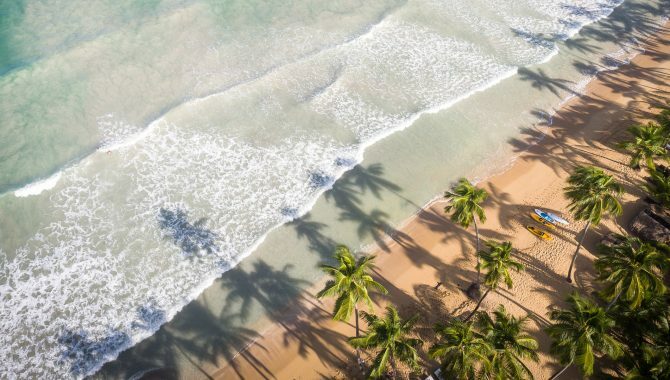 Beach not your scene? 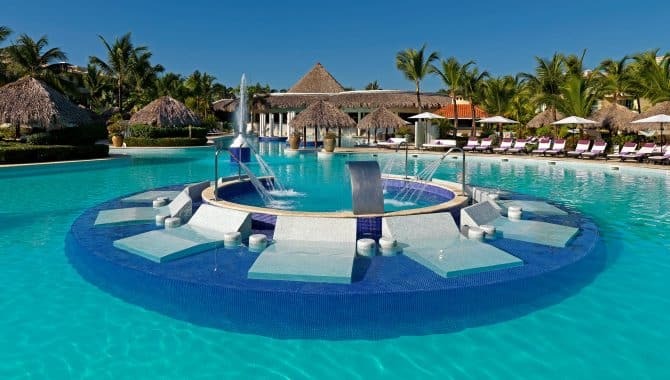 Head to the uniquely designed 1,300 foot pool that runs the entire length of the resort, meaning you’ll have no problem finding your own private spot at any one of the swim-up bars or cabanas. 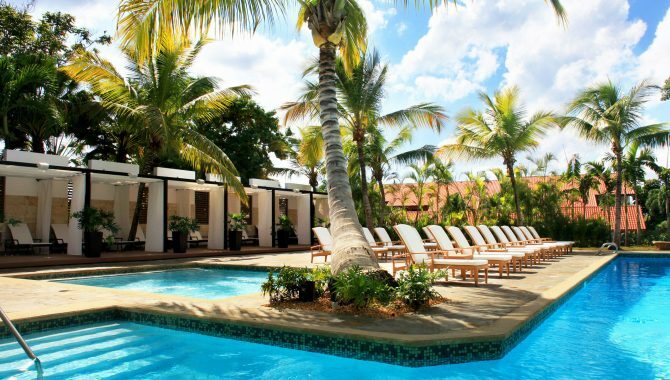 For adults looking to truly relax, the Colonial Club is exclusively for adults only, ages 18 and up, with a dedicated pool, restaurant and butler service. 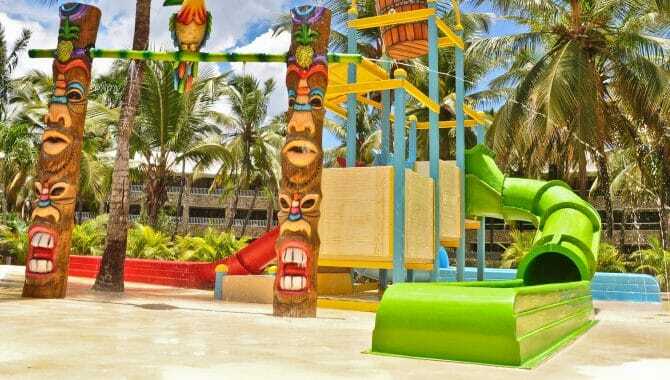 Drop the kids, ages four to 14, off at the Splash Kids club for the ultimate aquatic experience with two water areas with slides, a maze and games, all with lifeguard supervision. 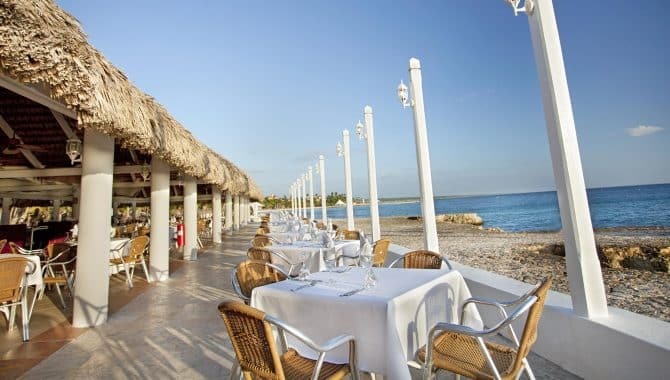 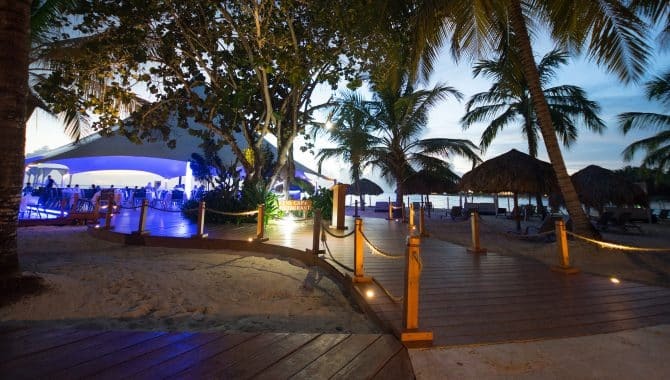 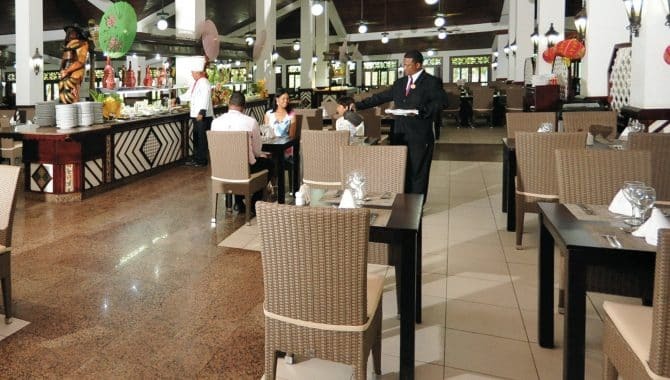 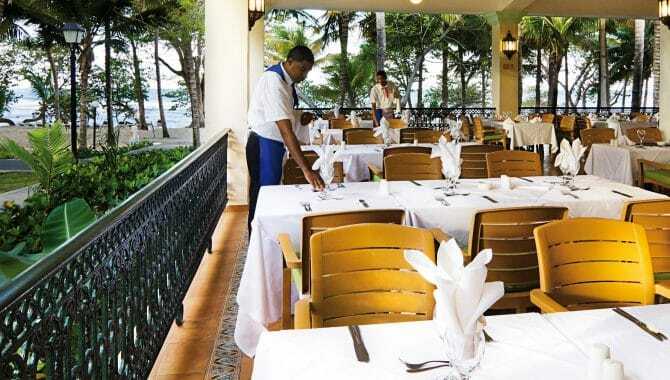 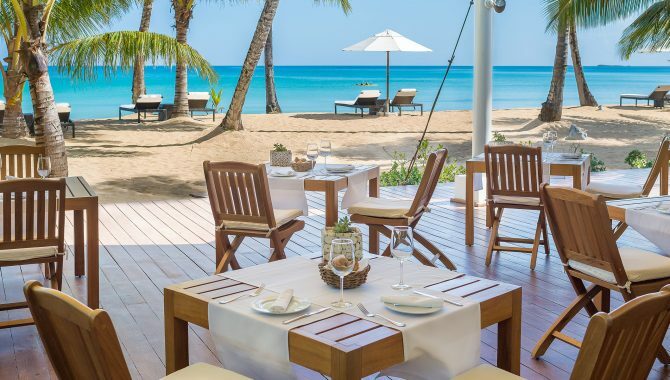 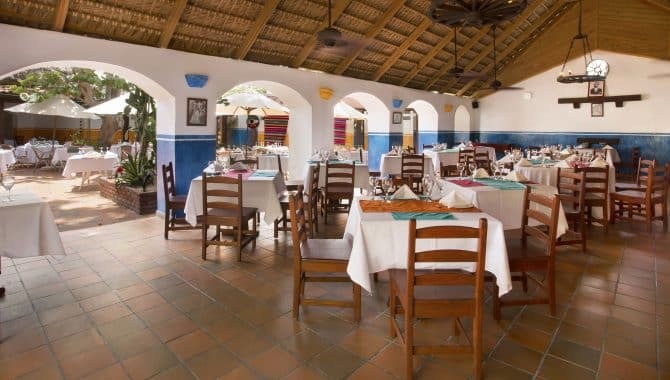 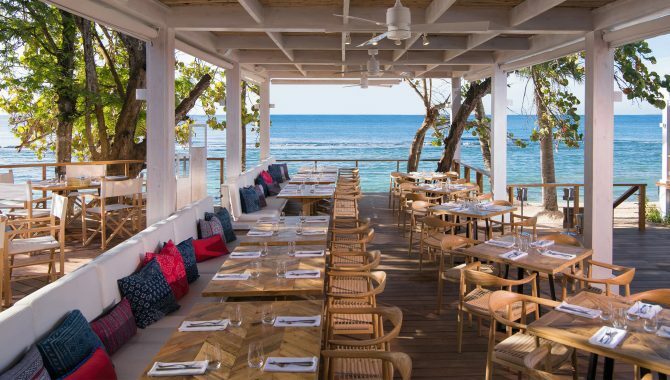 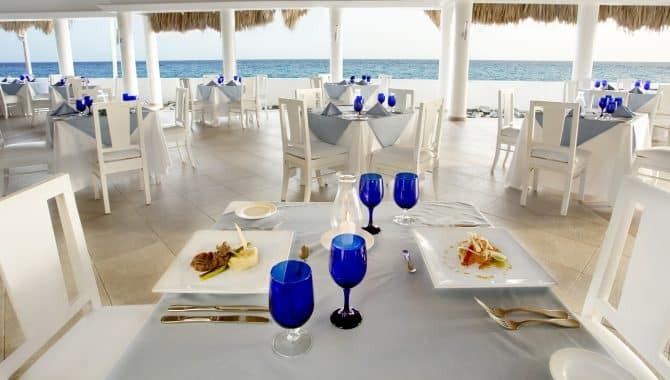 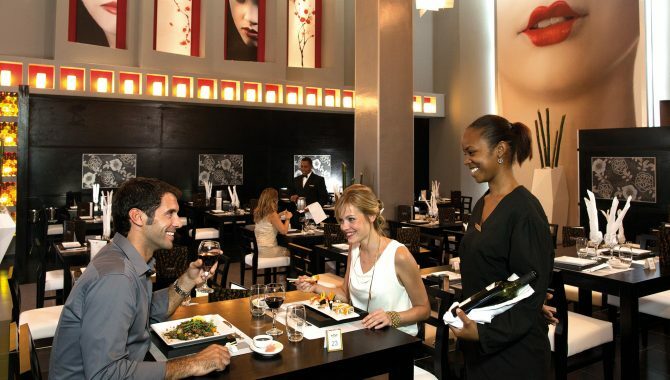 Dining here is also an attraction in itself, with seven restaurants serving up an assortment of cuisines from oceanfront Caribbean traditional plates to upscale, fine dining exclusively adults and guests 12 and up. 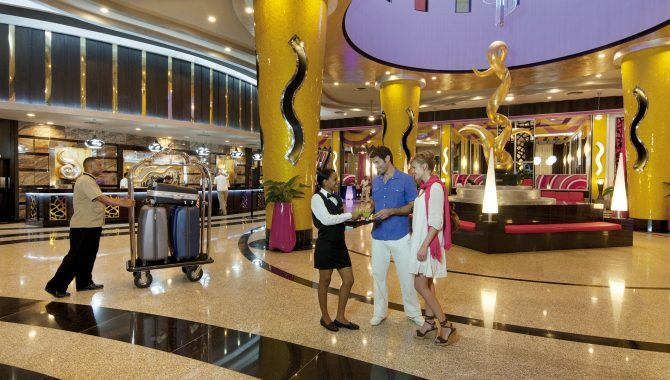 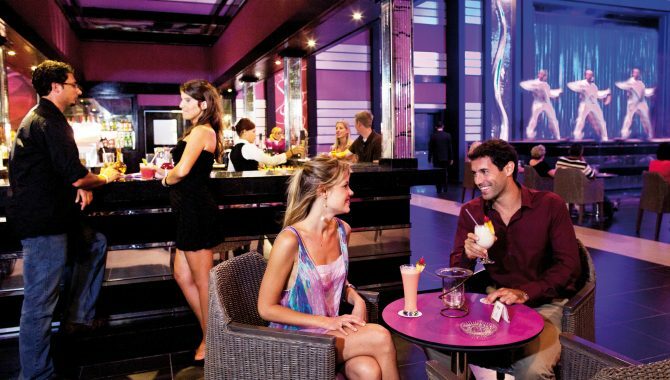 Following your meal, head to the disco or casino for late-night entertainment and live music. 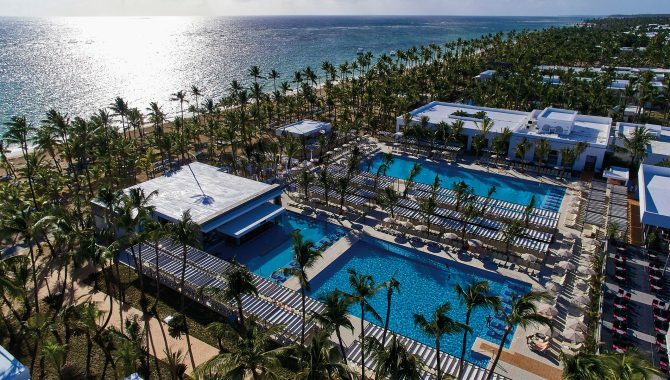 The Senator Puerto Plata Spa Resort gives guests the ideal launch pad for their next unforgettable Dominican Republic adventure. 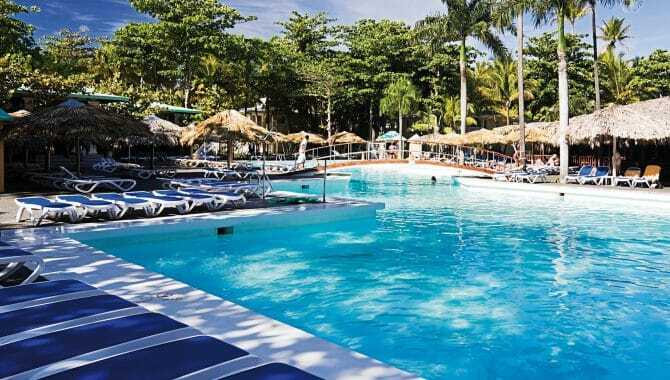 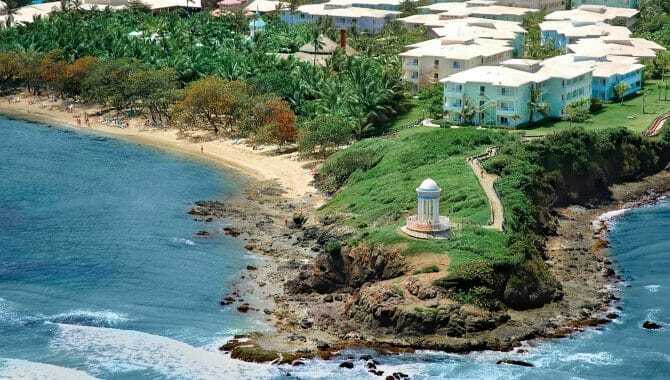 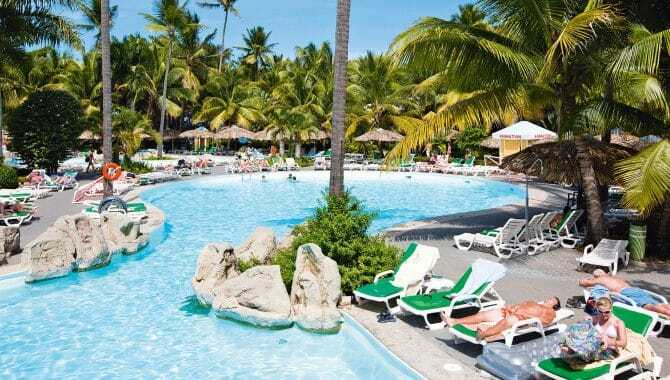 This classic mid-level, all-inclusive complex hides in the warm-climate wonderland known as Puerto Plata, right on the island nation’s northern coast, and has its own large beach and central swimming pool (complete with a popular swim-up bar). 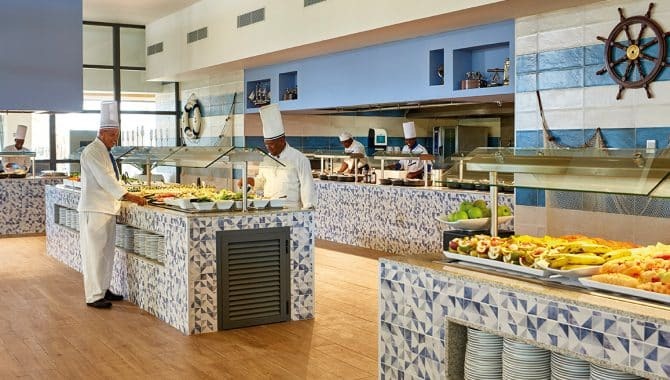 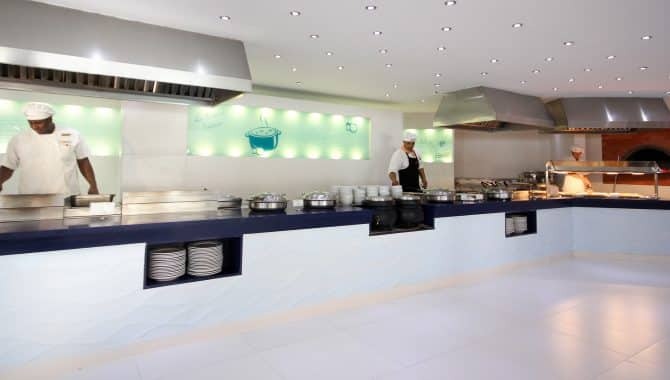 There are also two buffet-style restaurants offering wide-ranging international dining options, with à la carte dining also available upon request for whenever you have something special in mind. 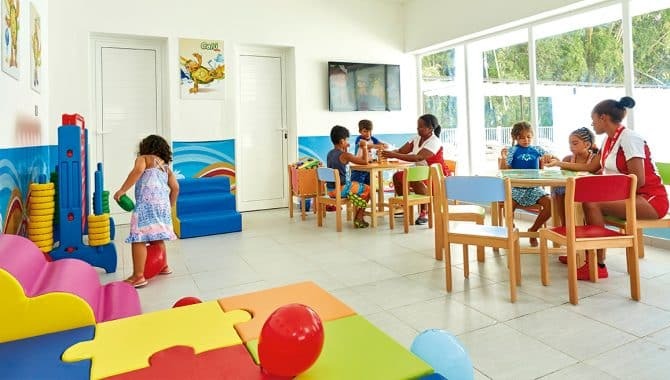 Meanwhile, younger travelers—and older travelers looking for some alone time—will love the kids club on premises, where they can socialize with other guests their age while engaging in a full itinerary of fun-filled activities. 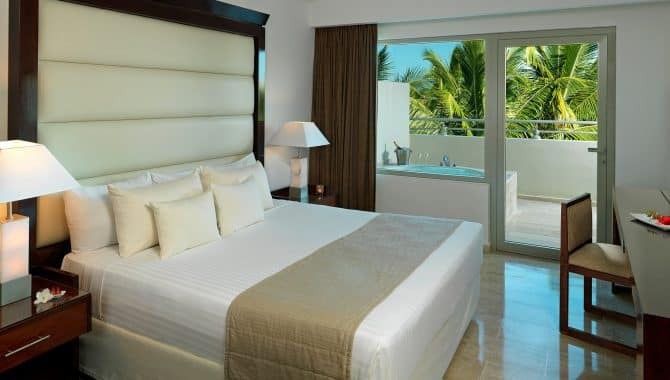 The rooms here are comfortable and come with either balconies or terraces for basking in the ocean breeze. 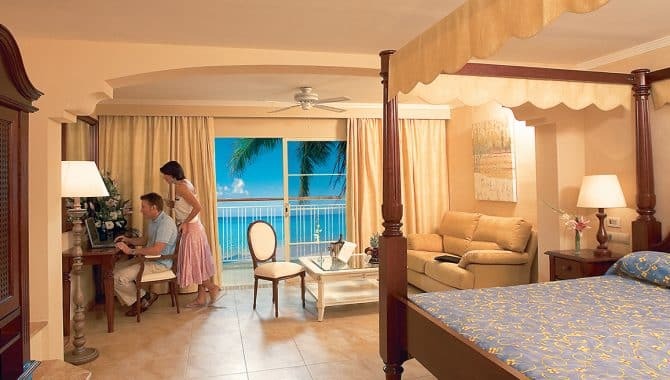 Plus, larger suites are available for families or large groups. 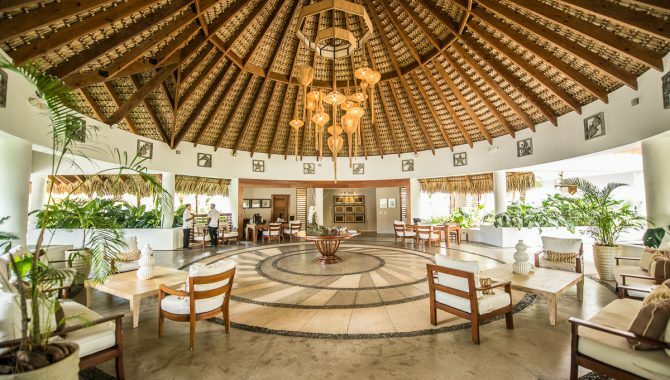 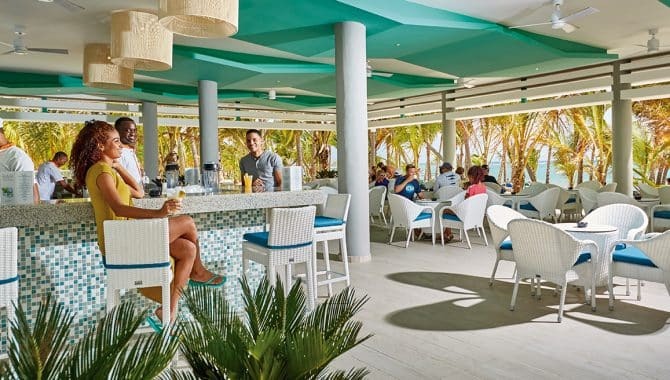 There’s an abundance of kitschy charm on display at RIU Bambu in sunny Bavaro—a town situated just up the coast from bustling Punta Cana in the Dominican Republic. 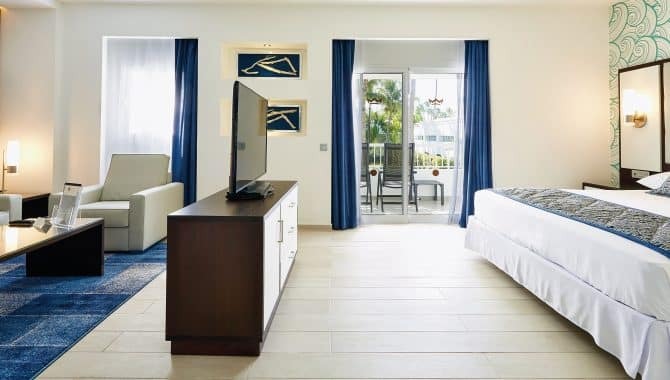 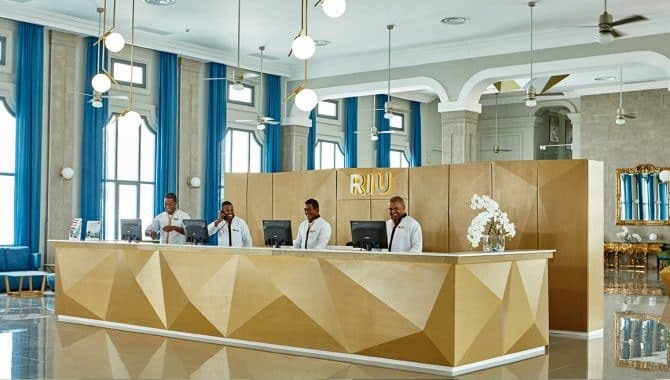 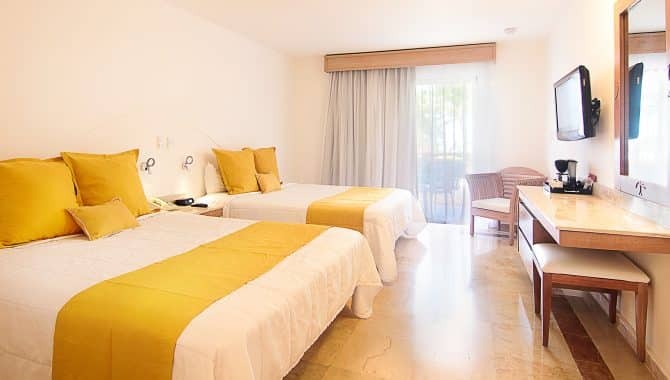 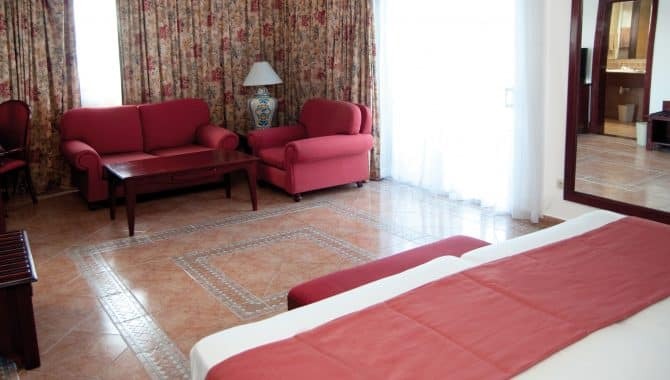 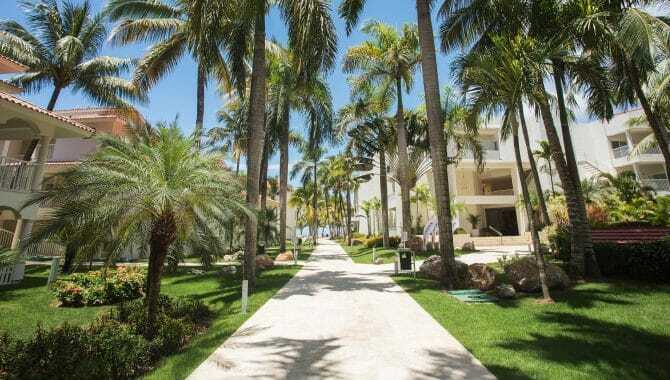 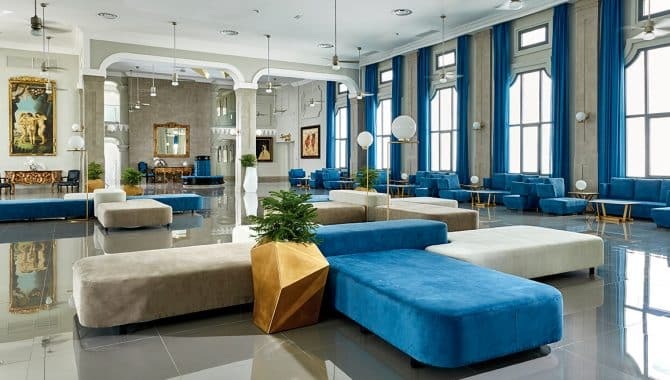 Far from other, flashier resorts in the area that always flaunt the newest and trendiest in design, the decor and entertainment at this RIU resort are appealingly retro, though the rooms themselves are spacious and sport private balconies and terraces. 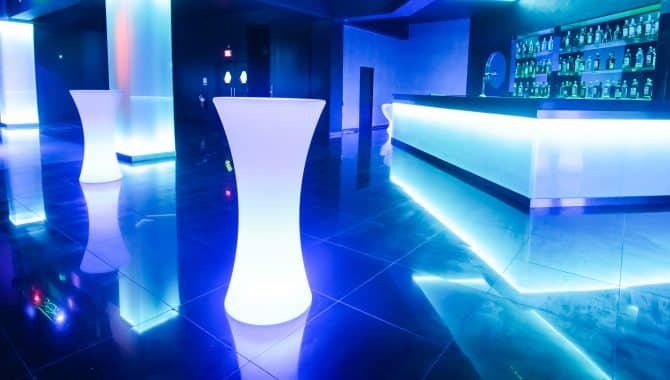 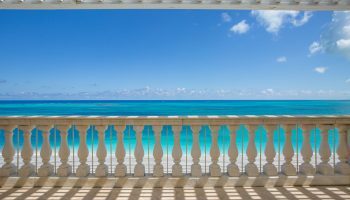 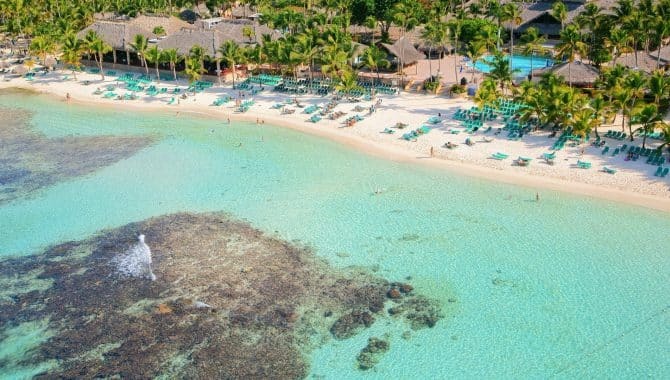 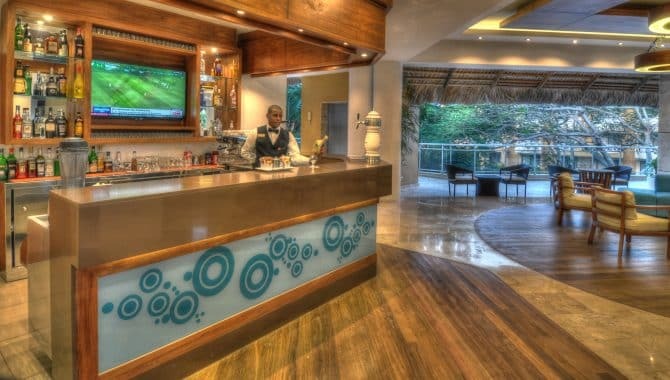 Of course, the lack of a significant update means most of the energy here is thrown behind providing an excellent travel experience, with access to a gorgeous white sand beach and a number of all-inclusive features—like complimentary alcohol “on tap” in the rooms—guaranteed to keep the party going all day long. 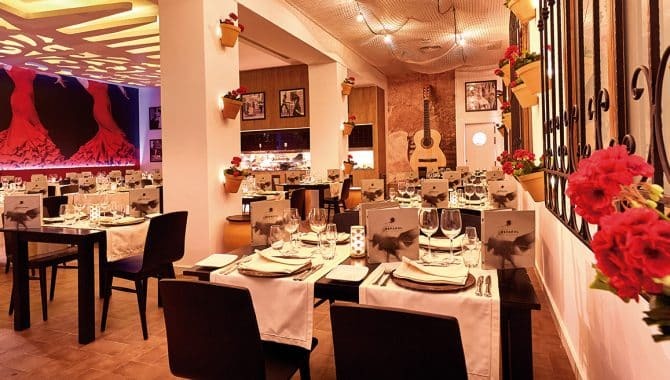 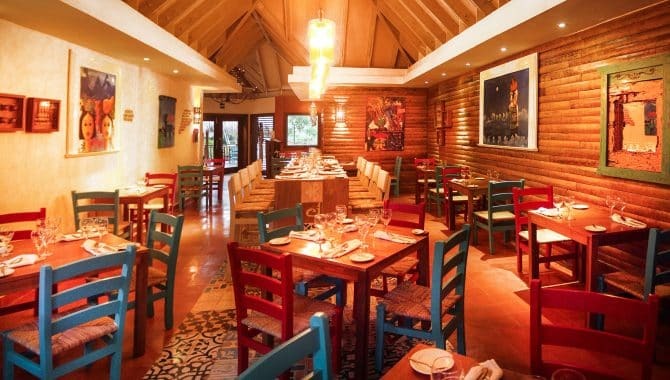 Meanwhile, new restaurants Olé and Kulinarium serve creative tales on Spanish and Caribbean cuisine, respectively. 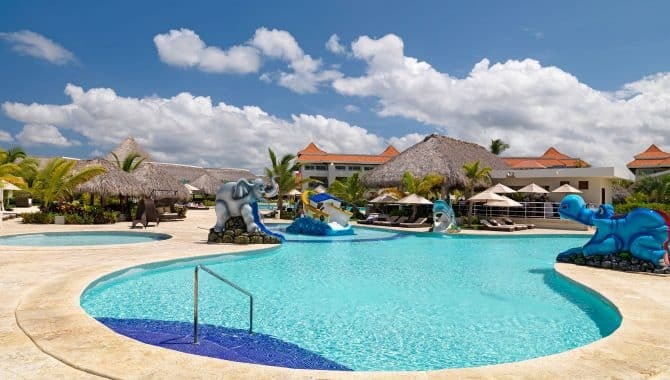 Other, family-friendly features here include a special kids’ club, as well as a large pool designed especially for children, perfect for younger visitors looking to socialize with guests in the same age range. 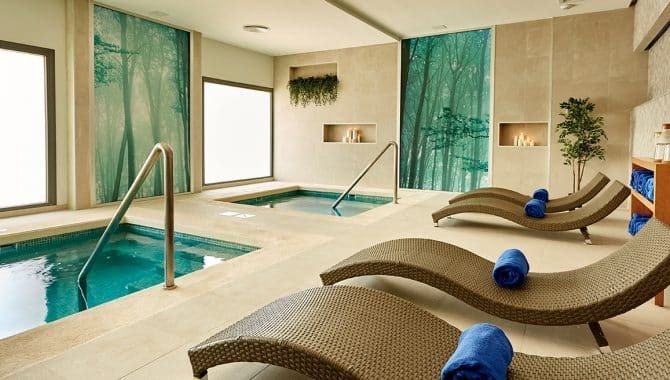 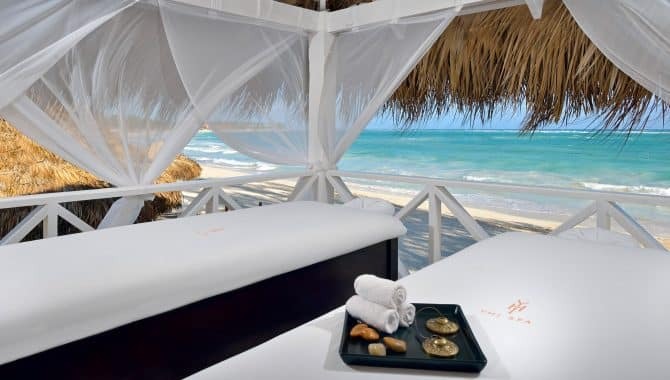 Anyone looking for a pampering should also look for the spa facilities in the neighboring RIU resort property, which guests have free access to. 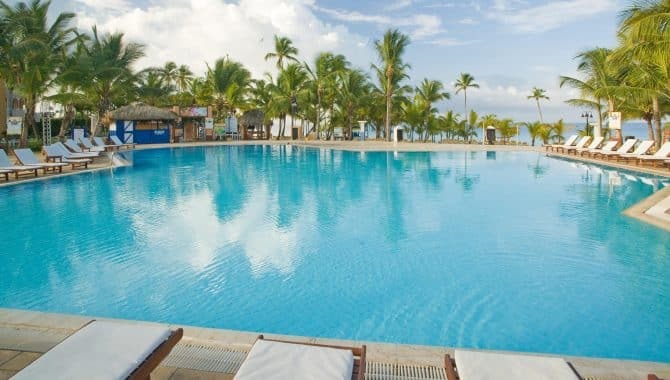 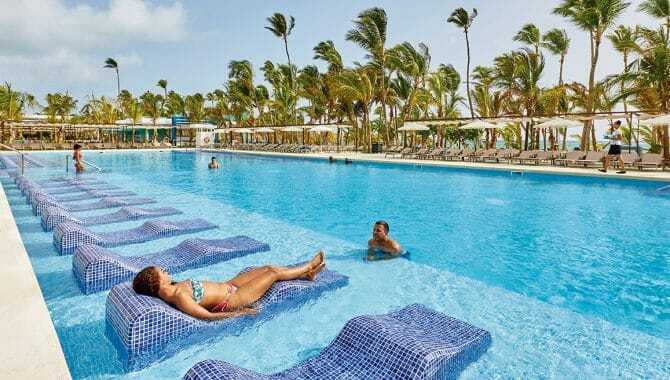 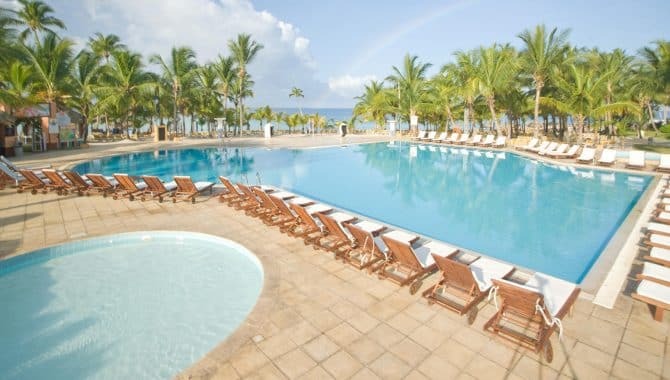 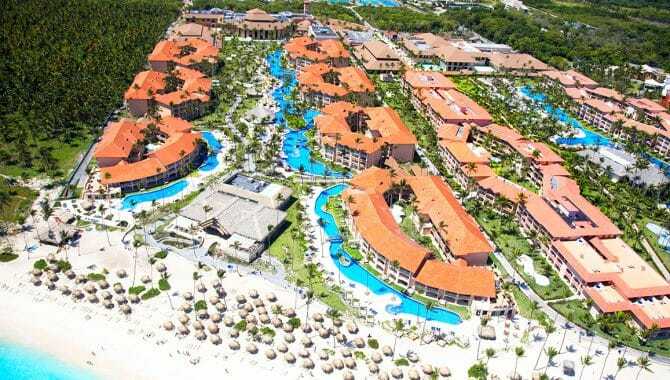 Hotel Riu Palace Bavaro sits right on peaceful Arena Gorda Beach with 600 rooms and 12 villas laid out perfectly to give both families and couples the space they need. 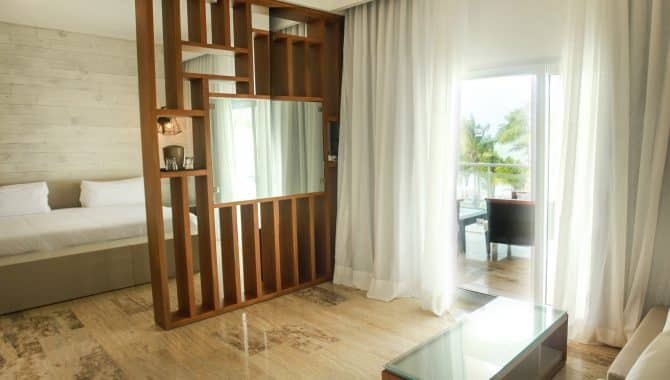 The inviting rooms all have a balcony or terrace, 24-hour room service and a mini-bar, but you won’t be spending much time indoors. 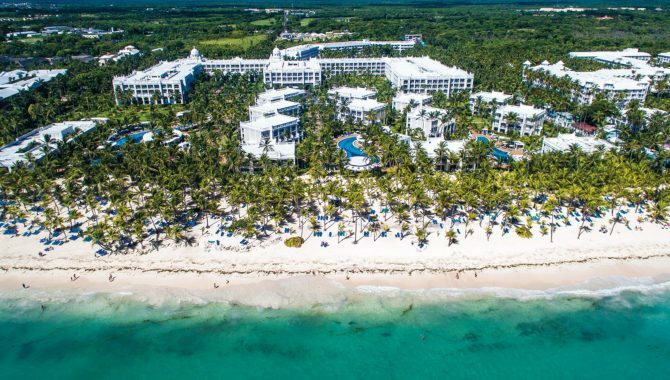 The palm tree-lined beach and two swimming pools—plus one just for children—have ample loungers and wait staff takes care of anything else you need. 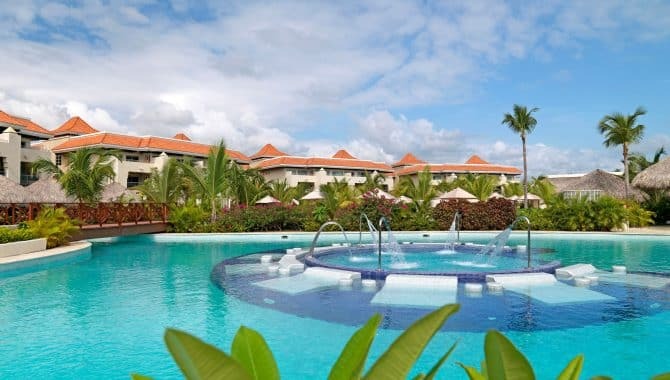 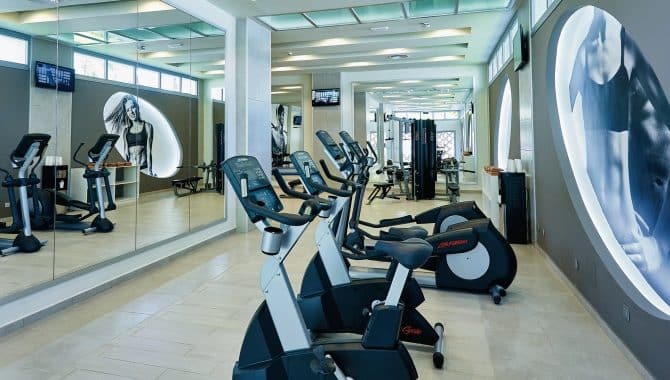 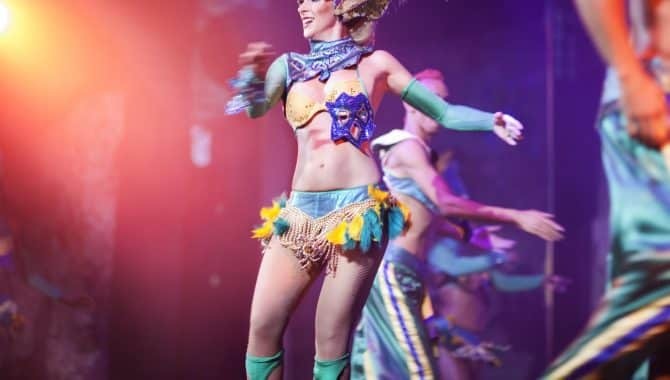 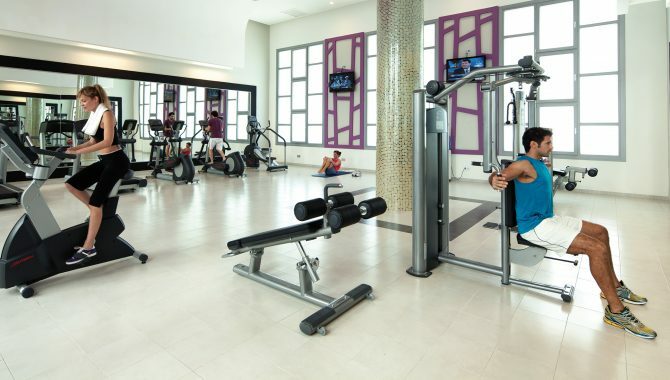 The resort’s live entertainment, on-site discotheque, kids’ club, Renova Spa and array of included water and land sports ensure your vacation is full of both relaxation and activity. 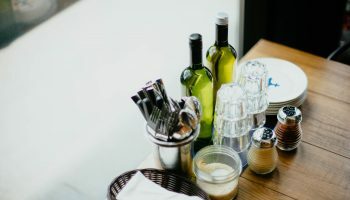 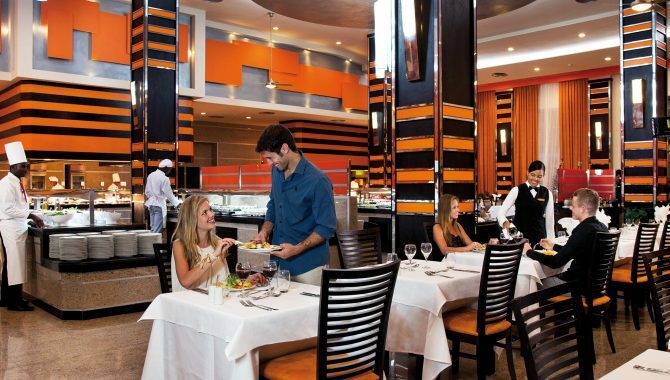 Three buffets and five international à la carte restaurants keep everyone satisfied, even the pickiest eaters—plus, the bars serve ice cream and snacks all day! 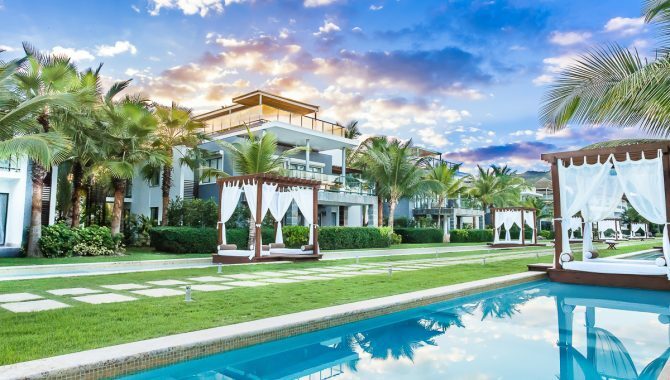 The exclusive villas with access to two private pools and bars are perfect for adults looking for a little extra privacy. 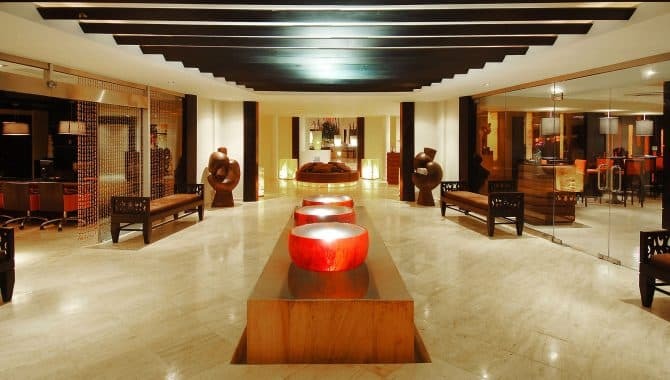 In fact, this resort has six conference rooms with a 1000-person capacity for those planning a business retreat or meeting. 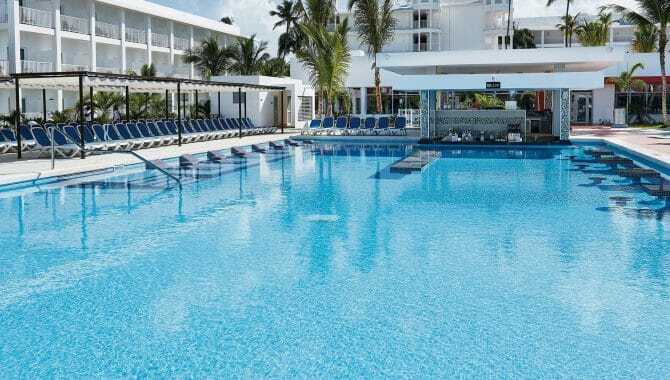 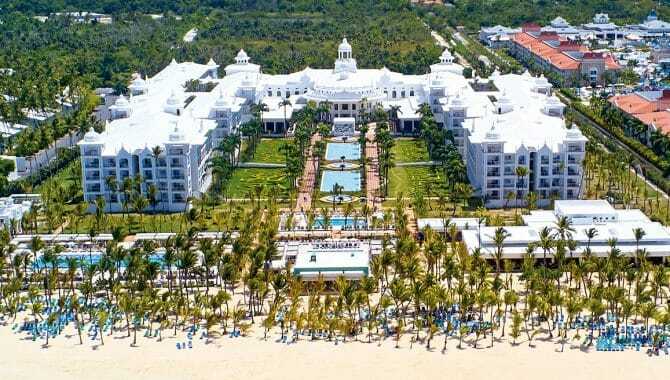 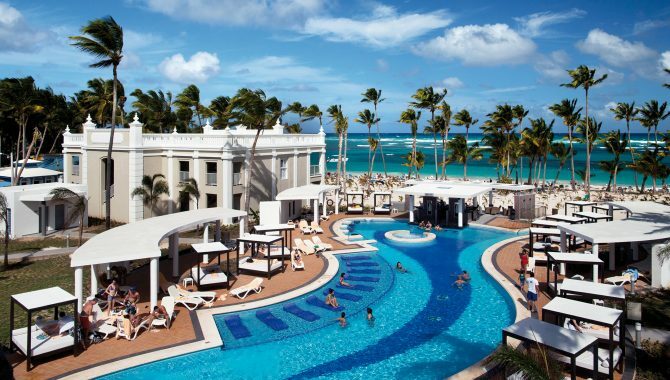 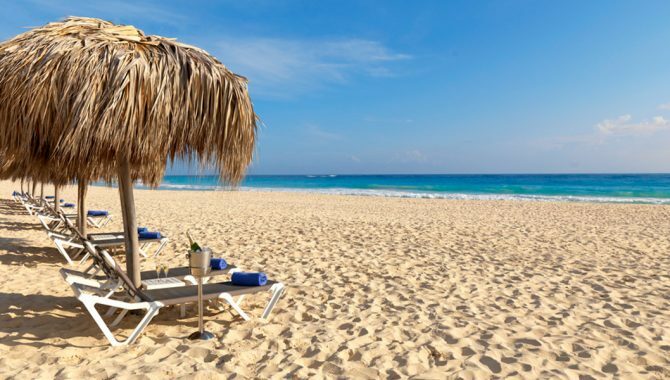 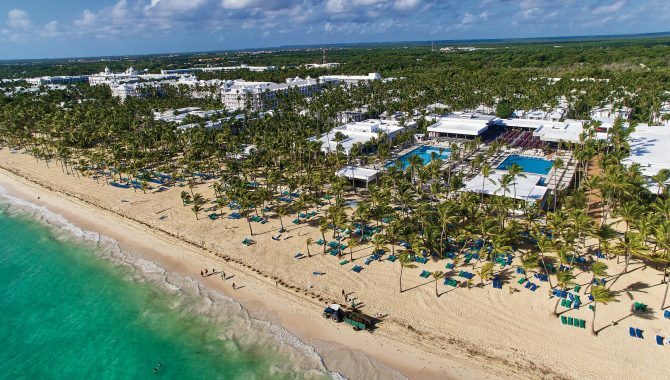 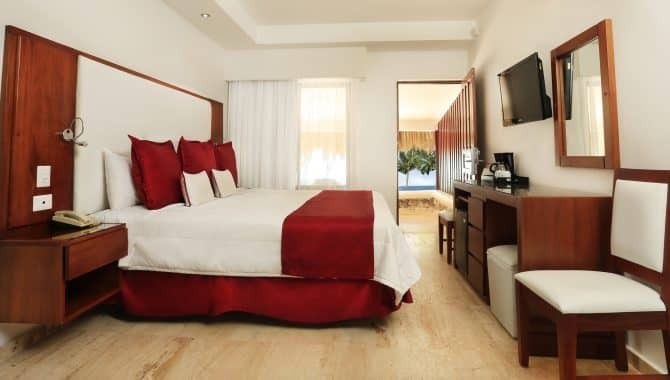 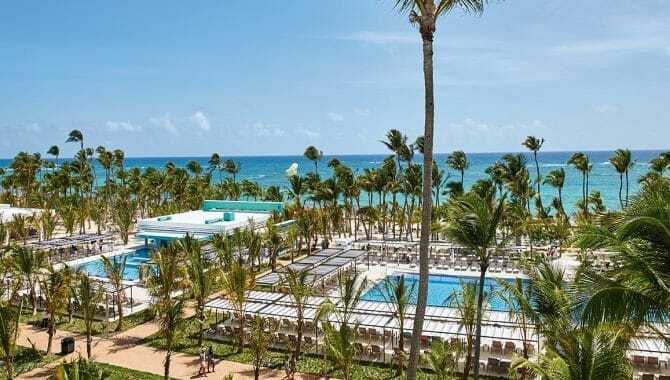 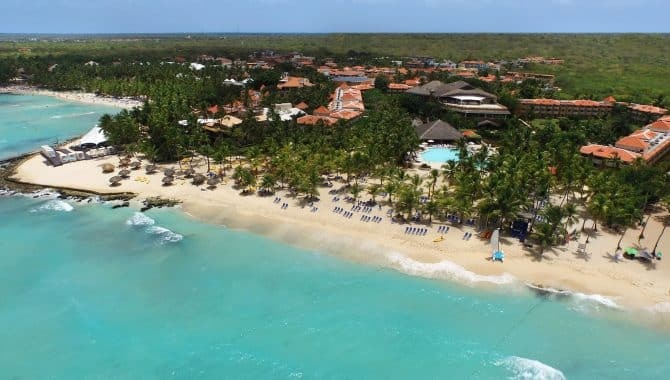 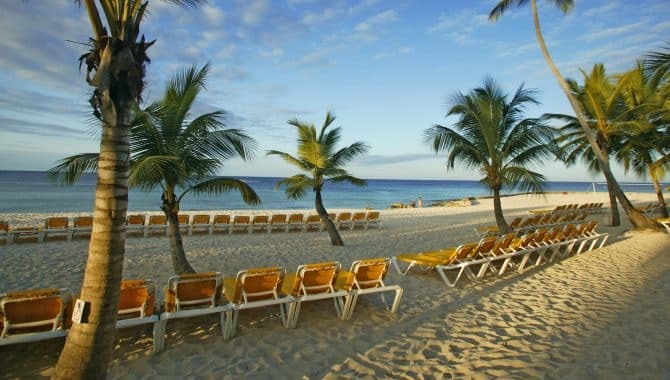 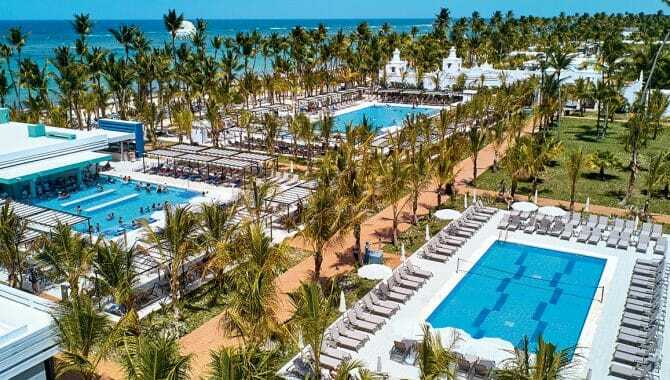 The recently refurbished Hotel Riu Palace Punta Cana sits on the beautiful white sand of Arena Gorda Beach offering 24-hour all-inclusive perks. 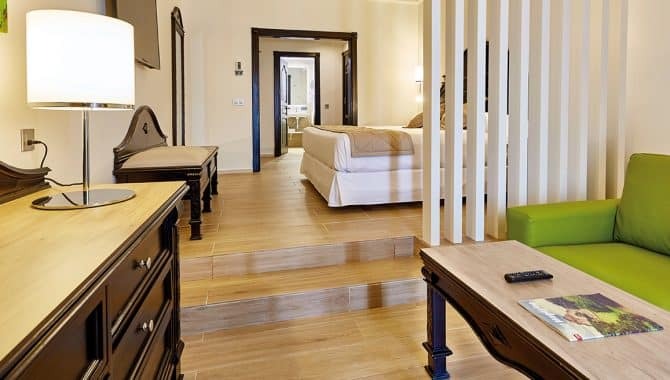 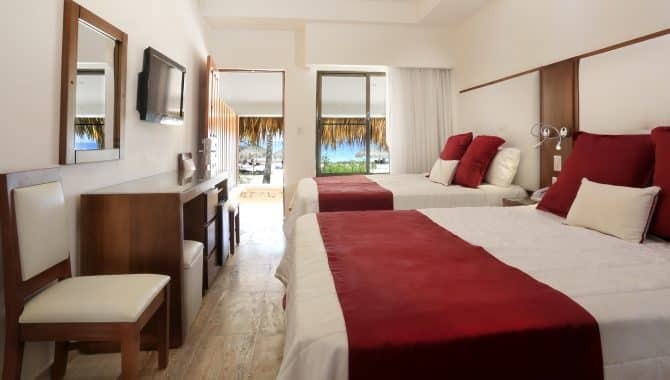 More than 600 spacious suites deliver a comfortable haven for when both families and couples alike need time out of the sun, equipped with satellite TV, plush bedding, patio and some even have outdoor jetted tubs. 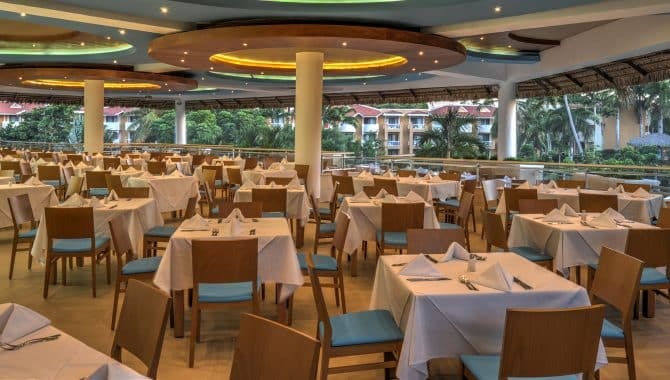 Between the resort’s three buffets, five international restaurants and five bars you’ll find satisfaction no matter your preferences. 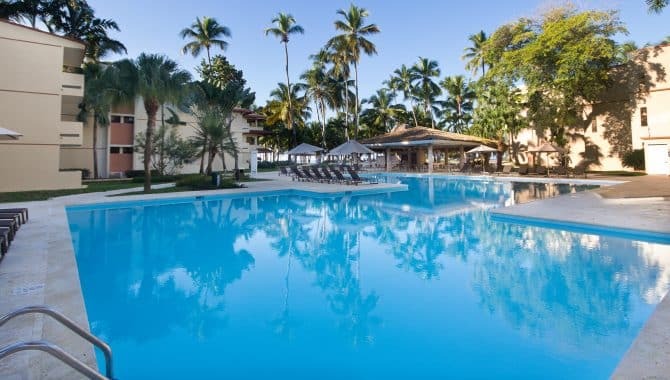 The pool and beach are the main attraction here, with a lively swim-up pool bar, plenty of loungers and shade when you need it under palm trees or a cabana. 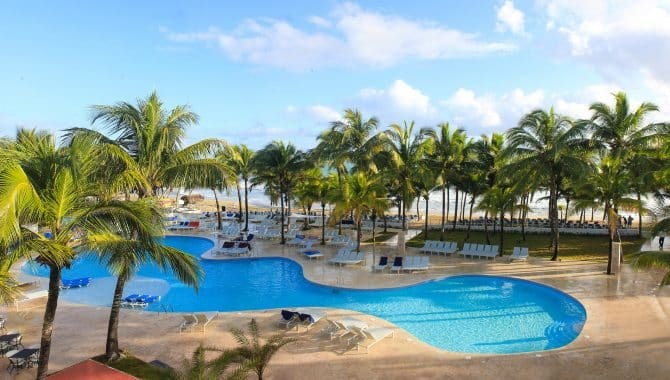 Families love vacationing here because there’s something for every age including the RiuLand Kids’ Club, a 24-hour sports bar, a discotheque, Renova Spa and free admission to Splash Water World. 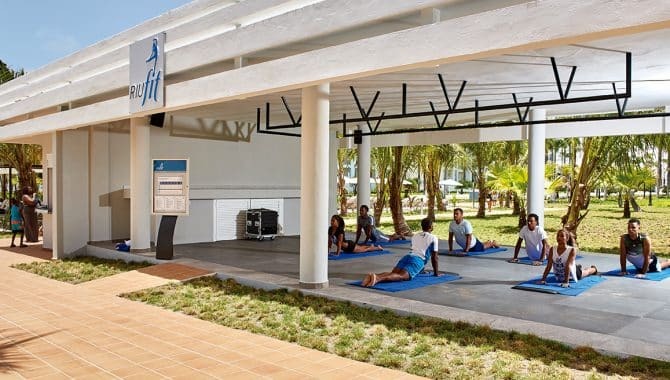 Plus, windsurfing, tennis, a sauna and more are all part of your all-inclusive package! 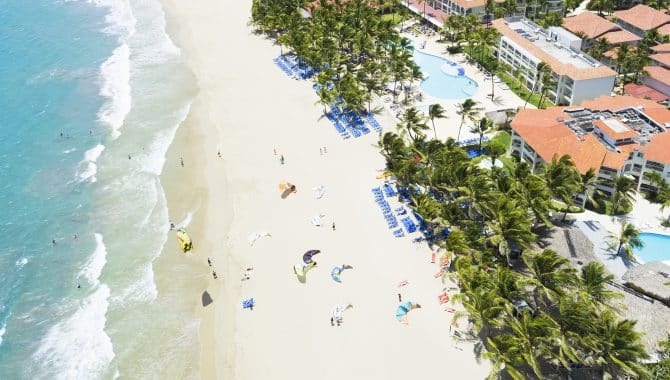 Welcome to Viva Wyndham Tangerine, where 314 guest rooms welcome extreme sports enthusiasts and beach lovers alike. 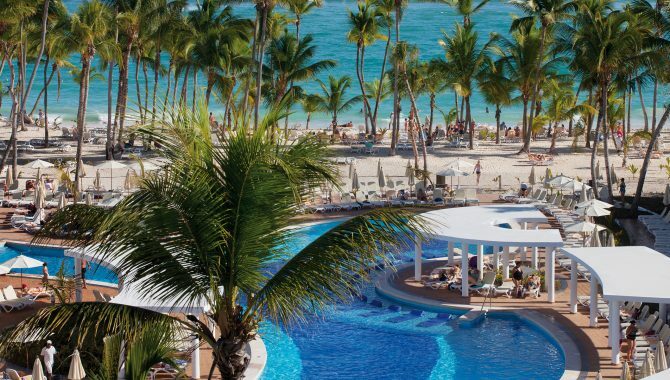 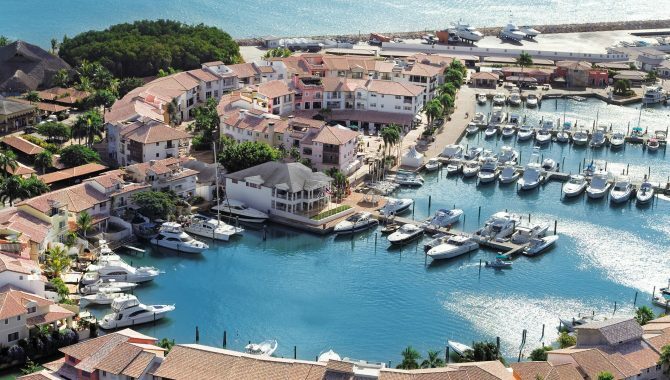 At this all-inclusive resort, location is everything. 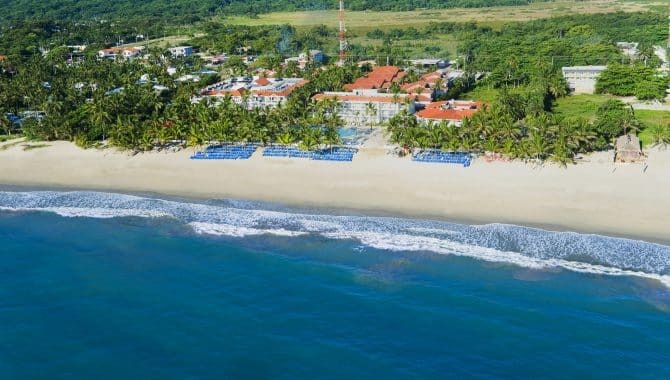 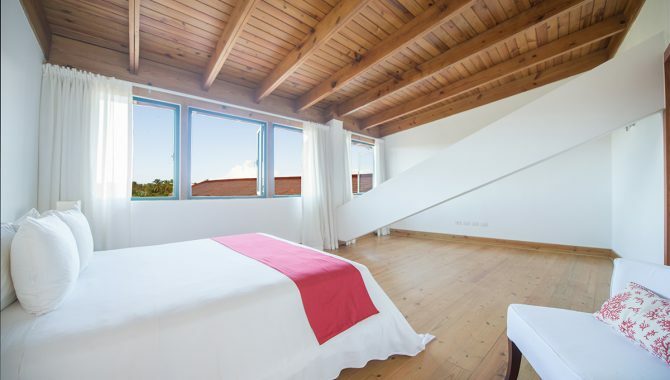 Not only are you right on Cabarete Beach with colorful kites decorating the horizon, but you’re also just a 10-minute walk from downtown Cabarete where you’ll find shopping, restaurants and nightlife. 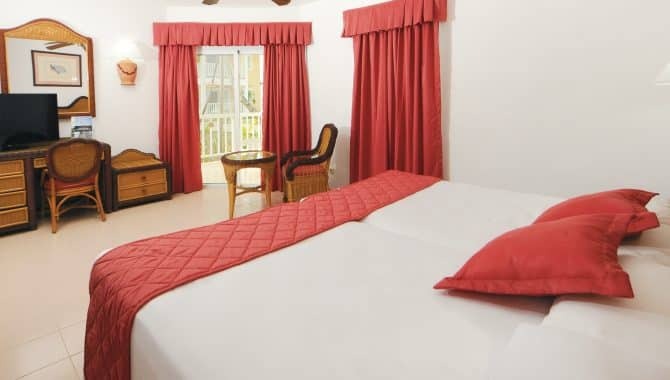 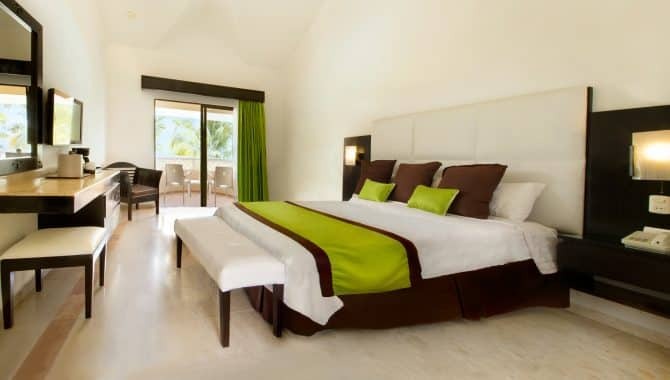 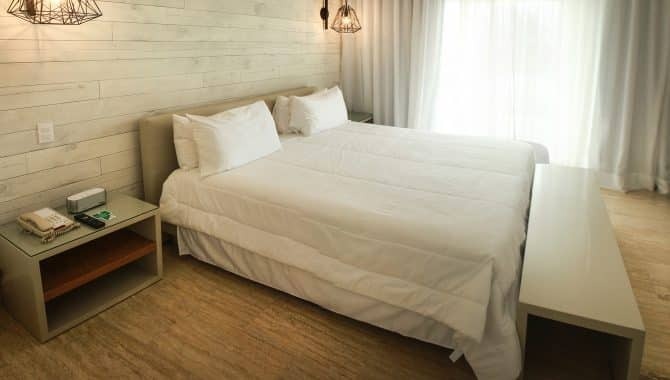 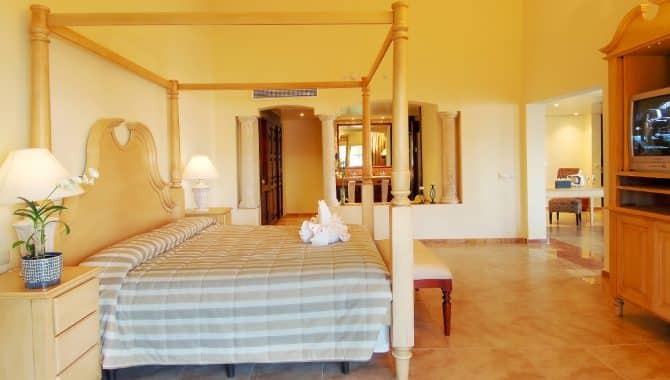 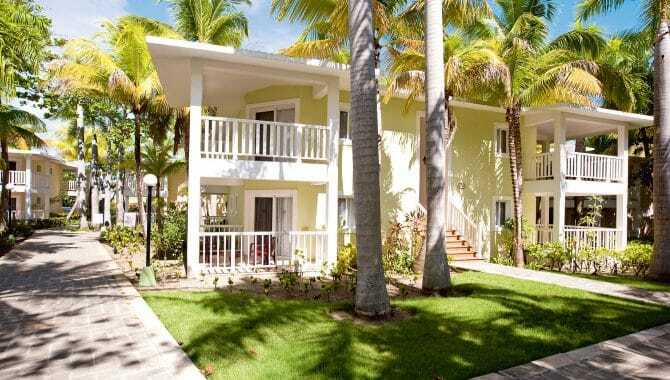 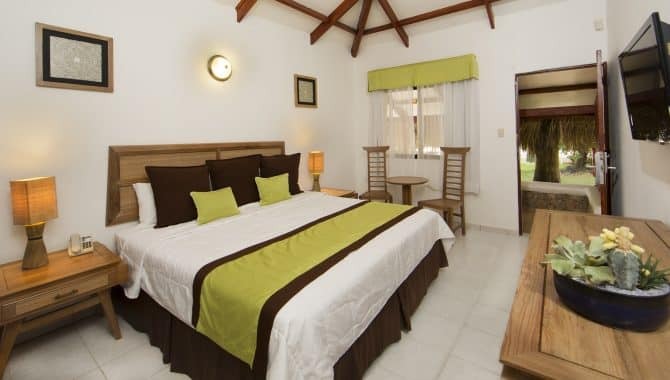 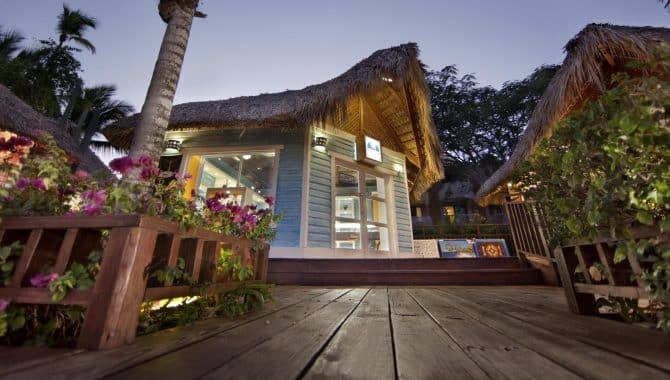 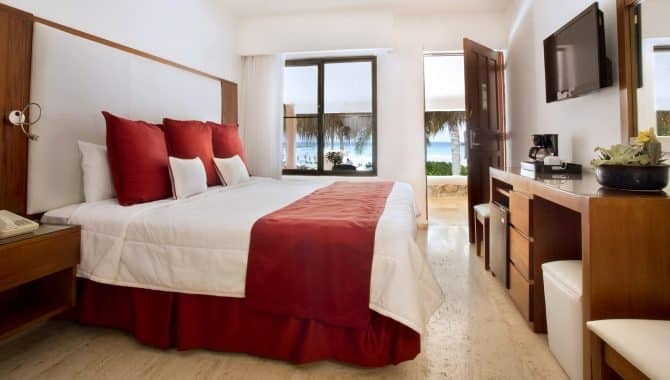 The cozy rooms or “All Together Rooms” for families, all have beachy decor, flat-screen TVs and ocean or garden views. 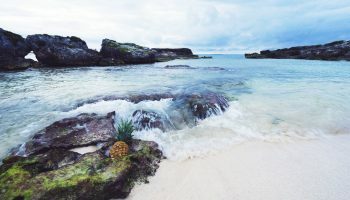 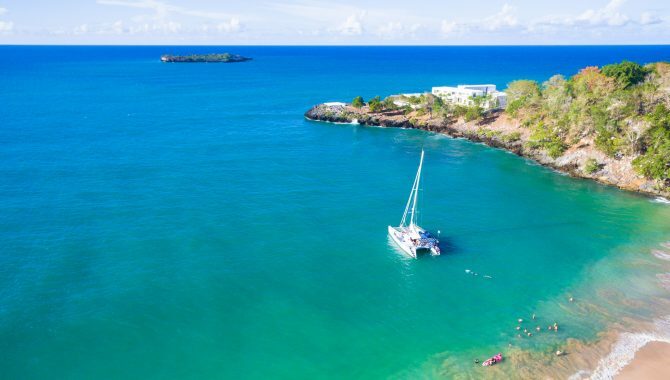 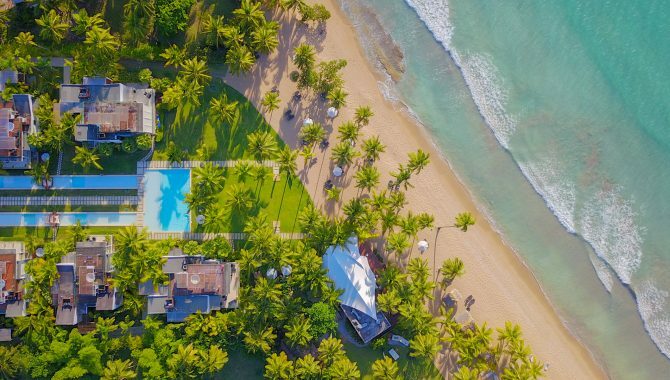 When it comes to activities here, you’re spoiled for choice—two freshwater pools, windsurfing, kitesurfing, beach volleyball and tennis are just some of the outdoor offerings. 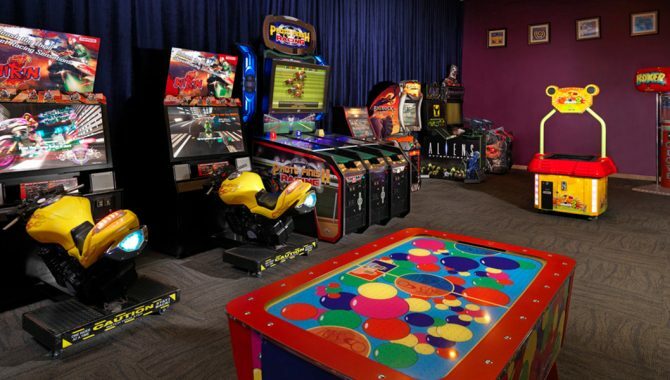 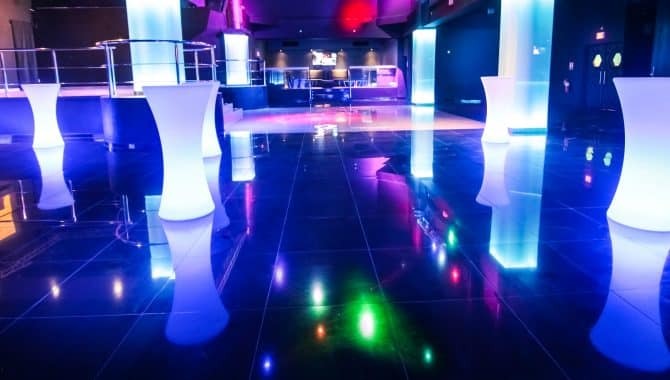 There’s also a spa, discotheque, theatre, kid’s’ club and theme nights. 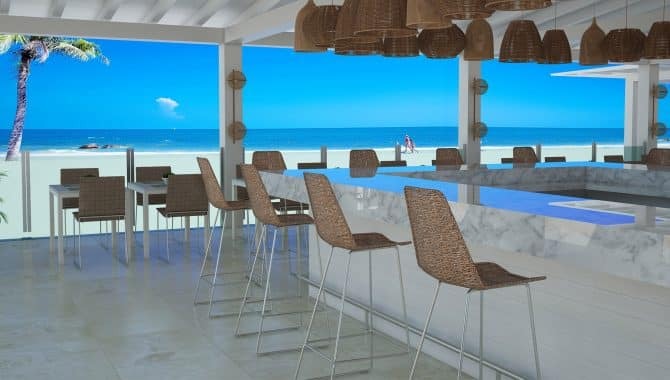 As far as dining goes, your all-inclusive package covers unlimited cocktails, food and drinks at the four on-site restaurants. 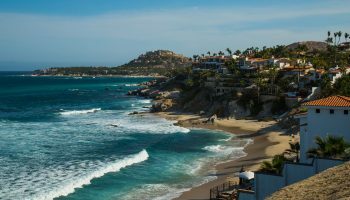 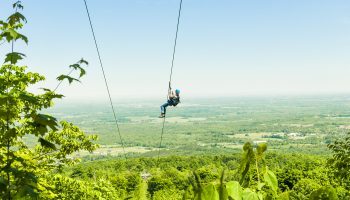 Whether you’re looking for a thrilling, active getaway or a relaxing family vacation, Viva Wyndham Tangerine has you covered. 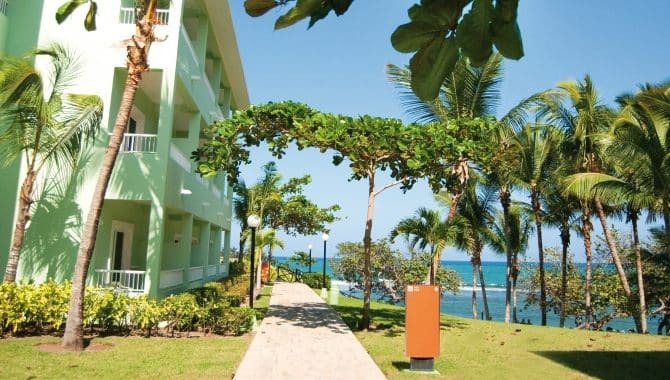 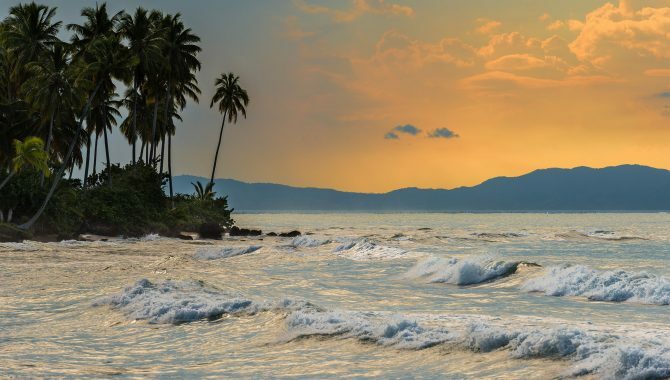 Want to host a wedding ceremony or business gathering with Cabarete Beach as the backdrop? 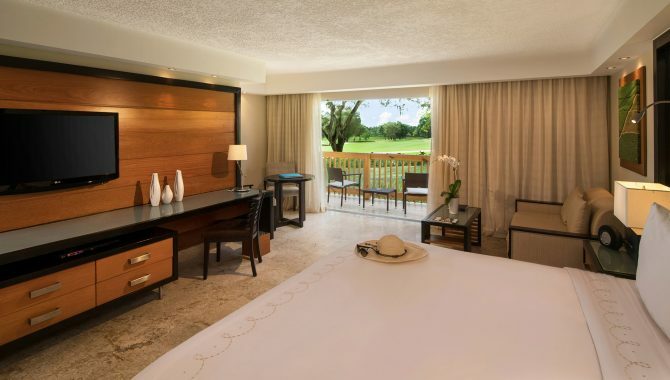 Viva Wyndham’s expert staff is ready to make it happen. 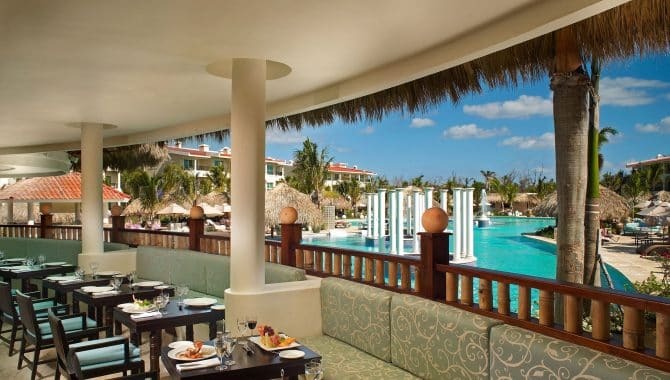 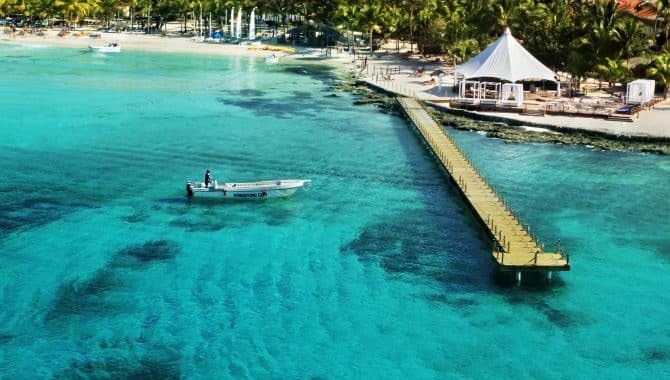 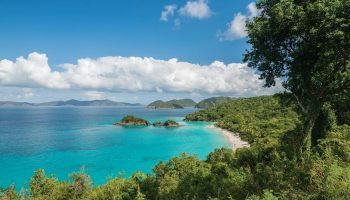 The all-inclusive experience at this deluxe resort is ideal for large groups with a plethora of dining and activity options to keep everyone happy during downtime. 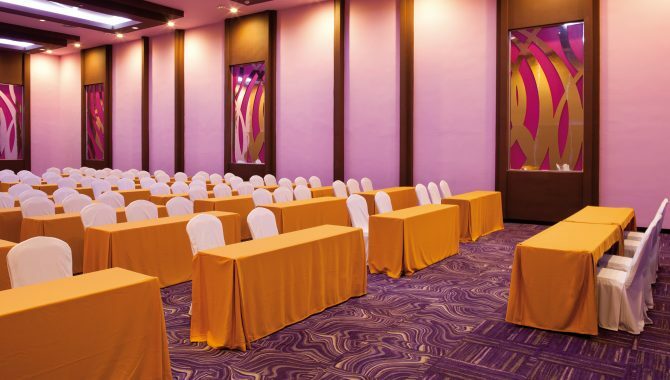 With three event rooms—the largest measuring 7,198 square feet—a banquet hall, outdoor space and a reliable team more than eager to make guests’ dream plans into a reality, there’s no denying the Tangerine’s appeal as a venue for meetings and conferences.